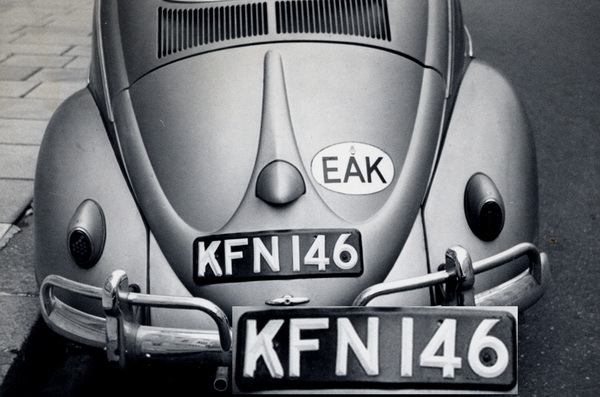 Was the VW Beetle the most ubiquitous World Car? This brief selection appears to support the idea. Have Bloggers any un-represented counties they could add? It would be quite something to display one from each jurisdiction on the planet…………………. 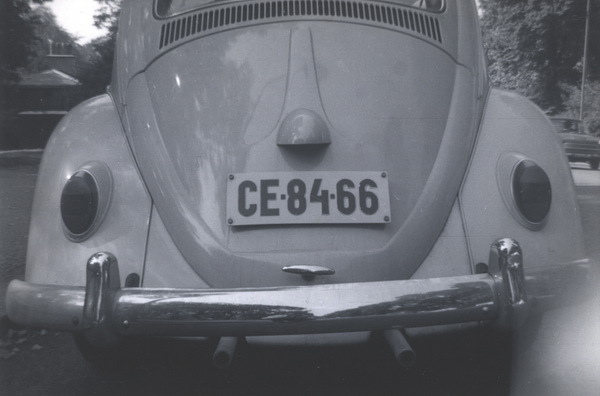 The shots below are from Victor Brumby’s archive, except where noted. 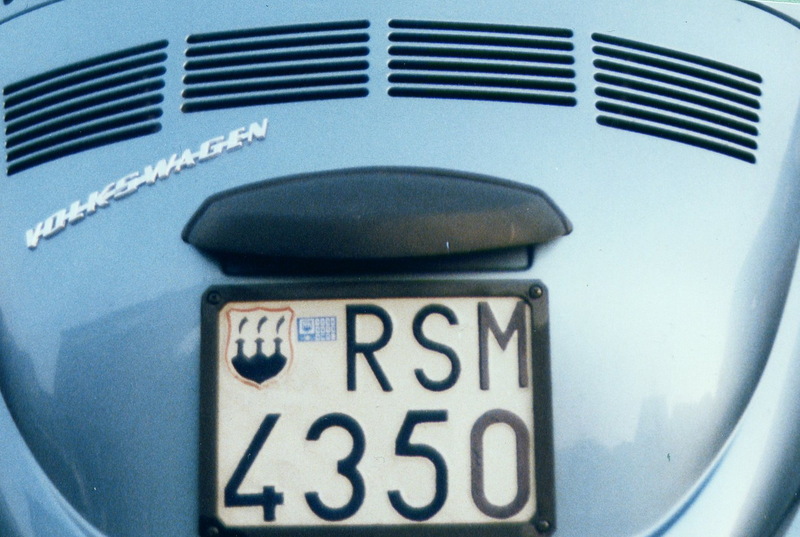 Nov 25 2013 – By request, some clues have now been added, to aid identification – without making it too easy, we hope! 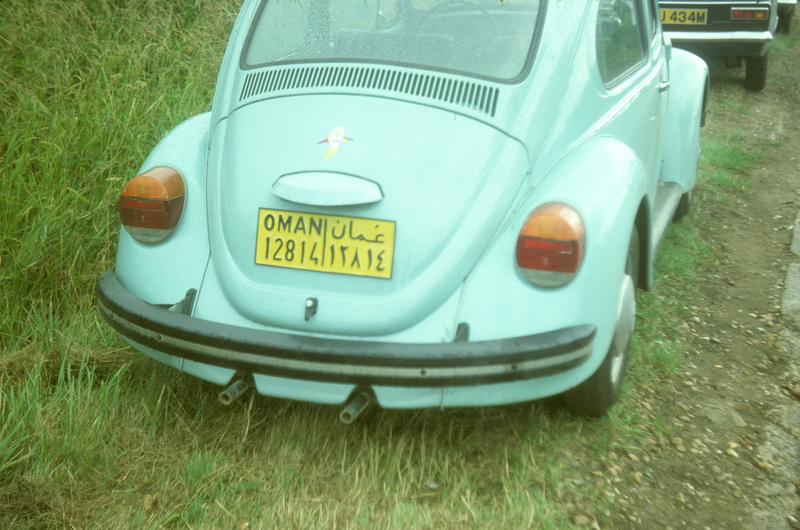 10 Dec 2013 – A few new pics have been sent in and added, and the donors acknowledged. Dec. 29 2013 – 9 new additions, not yet annotated, so send in your identifications via ‘COMMENTS’ below! From Terry Gray’s archive. ELEUTHERA CRISES / 3936 / EI-TELoneio PEIREIUS = (FREE USE/(tax-free use?) /3936/ CUSTOMS. PIRAEUS). 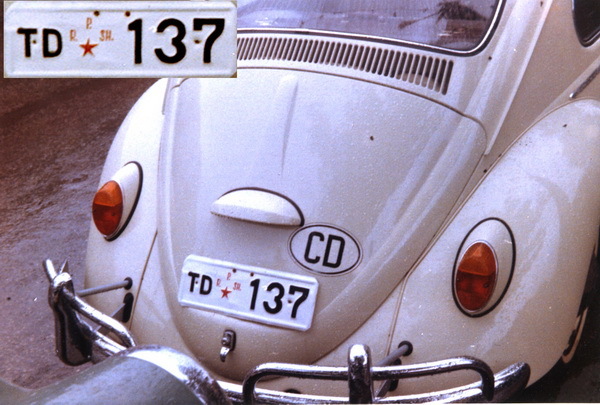 The date of issue is usually shown on these Greek customs-issued temporary plates, but not in this case. 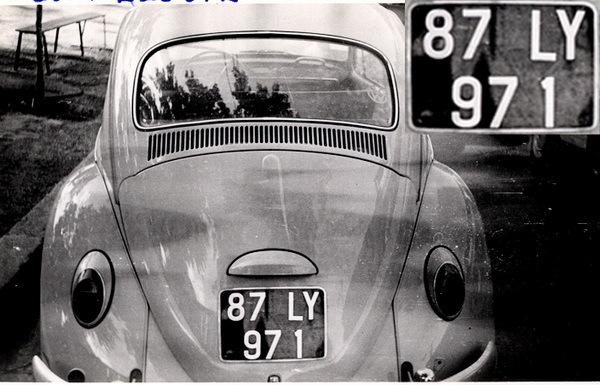 The small one-piece rear window was fitted to VW Beetles produced between March 1953 and August 1957, so this was already an old Beetle by the time early Europlate member Stephan Feuk photographed 3936 at the Monte Antenne campsite in Rome in 1971 or 1972. 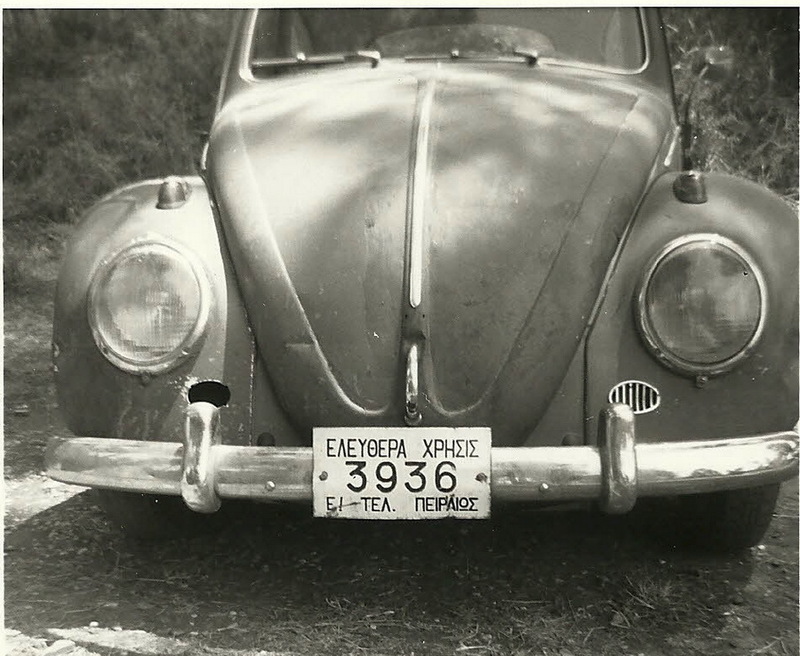 Pieter Lommerse gives us this Roy Carson shot of yet another variant of the old Greek customs-issue temporary plates, with 36 from 1964, reading ‘E.X.Thessaloniki’ Possibly issued to a U.S. Serviceman’s car after transfer from the US Zone of Germany (identified by the unique U.S. Forces in Germany oval) and now posted to the U.S. 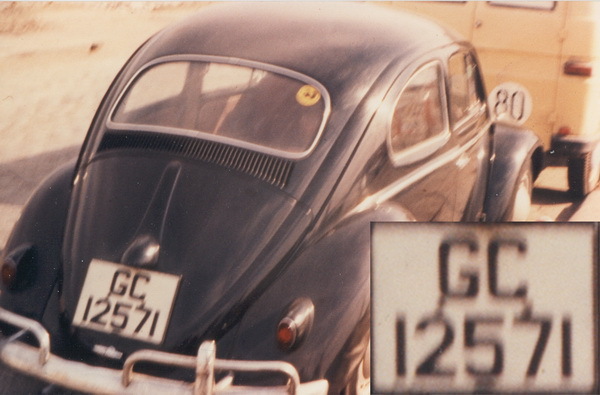 Forces base in Greece, where it would later be issued the dedicated USfGR special plates (illustrated elsewhere). 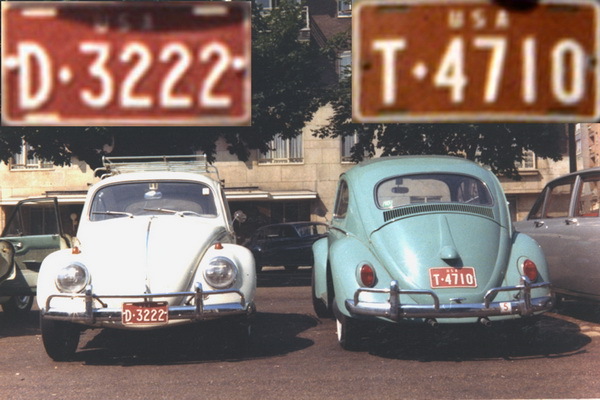 Yellow plates with 53-54 mark, were used from early 1954 to 1956 and not from 1952. 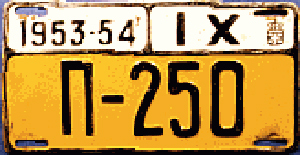 Yellow plate “Π-250″ (below) stands for the city of Patras and not Piraeus. 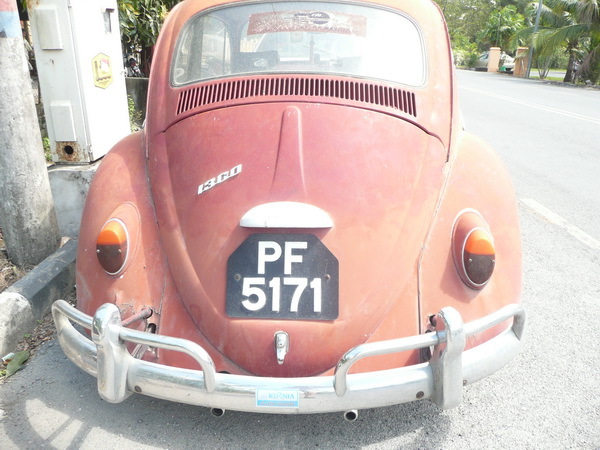 P-250 — For more detail of the Greek 1952-55 series shown above, we see Jim Fox’ s actual PATRAS (not Piraeus!) 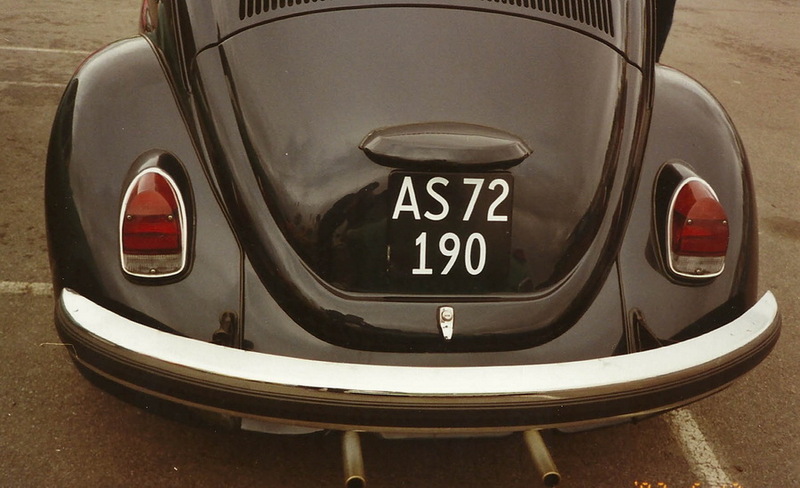 250 plate of the short-lived normal series. 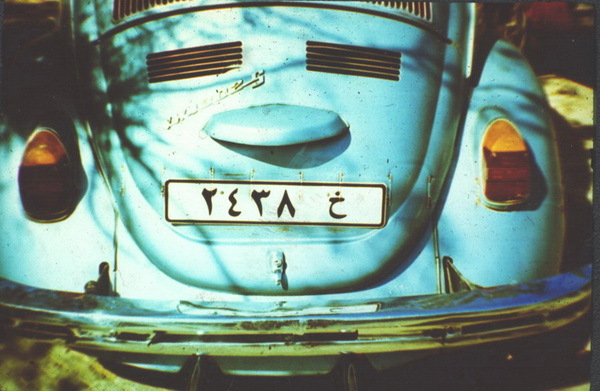 As for the “ΞΑ” (XA) plates, this stands for Foreign Mission (Ξένη Αποστολή)(Xenos ???) 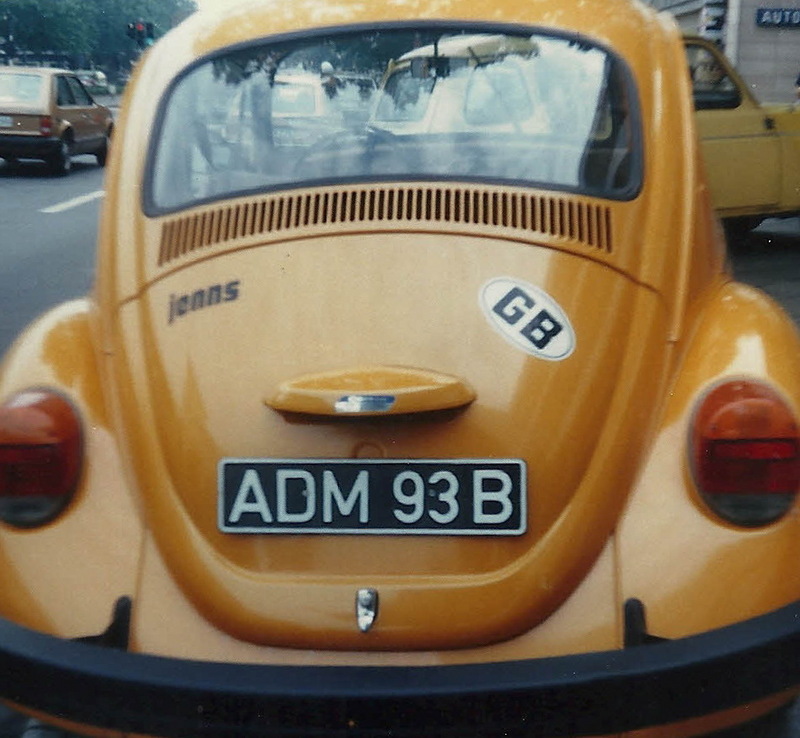 so the A letter is not about Athens, after all. 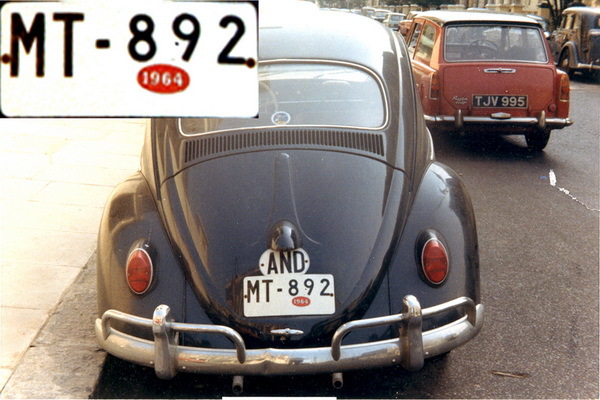 1-M-0081 — From July 1963, a new Spanish duty-free series commenced and this seems to be Madrid’s 81st. 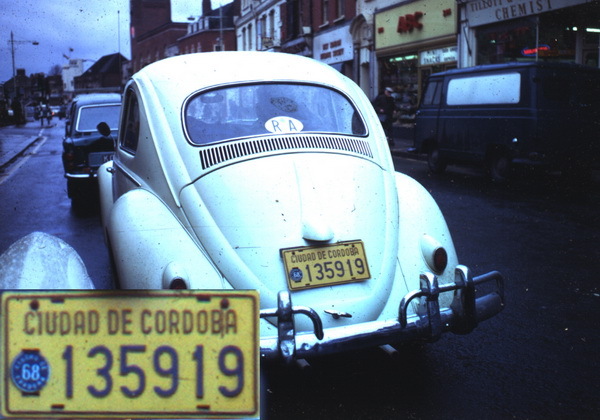 issue, set to expire in month IV (April) 1964. 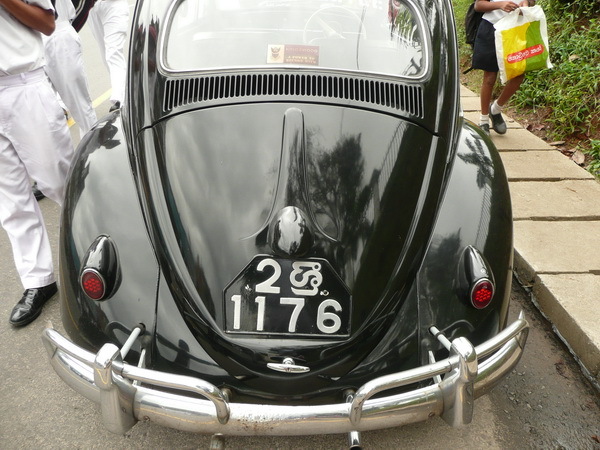 From 1952-99, F was the code for Kampala. 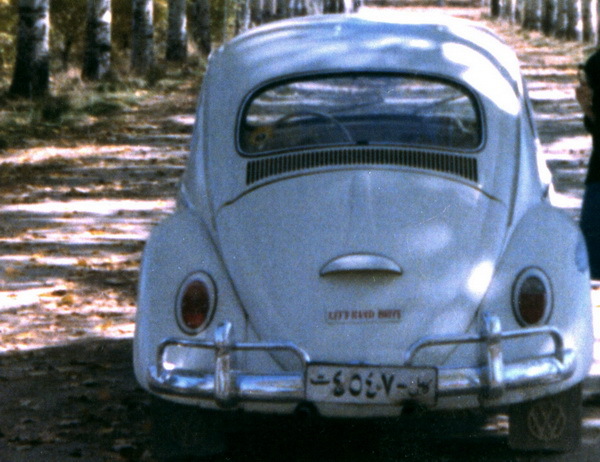 The small rear window dates this early insect to 1953-57. 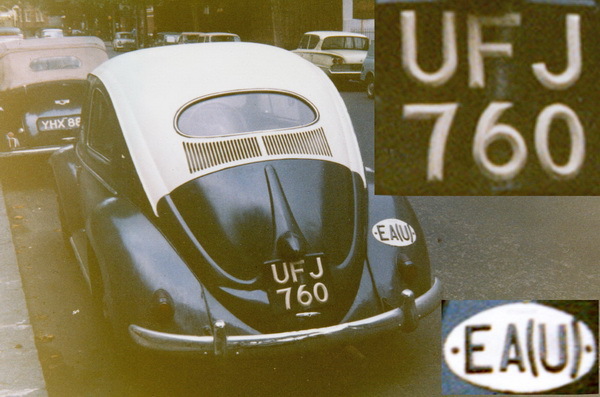 UFJ 760 was noted by member John Pemberton on 30th. 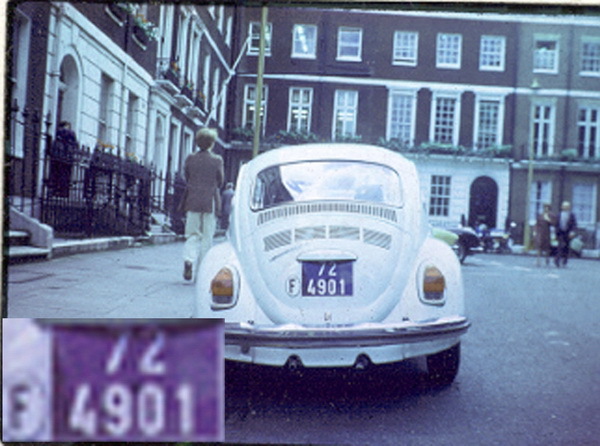 July 1965 and photographed separately by Vic Brumby in London in September that year, 52 years before the two members first met. 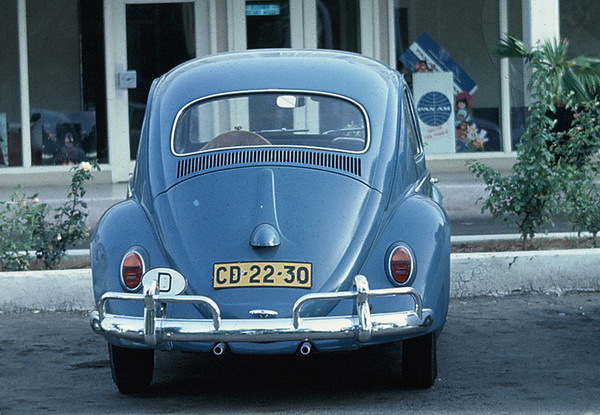 CVB 2600 — B = Ilhas Barlavento (Windward Islands) of Cape Verde. 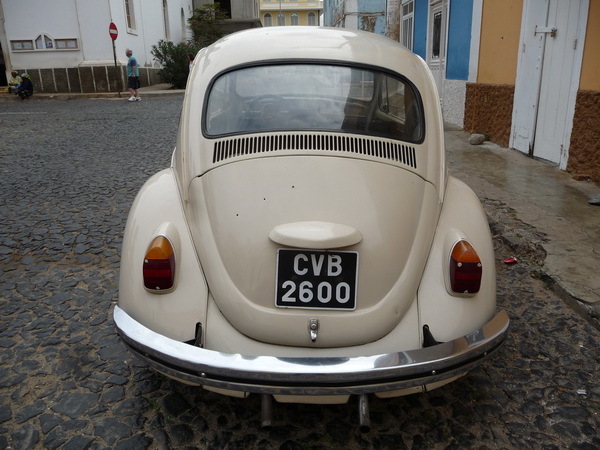 This series is now obsolete, but was still in use in Mindelo on Sao Vicente in 2011. 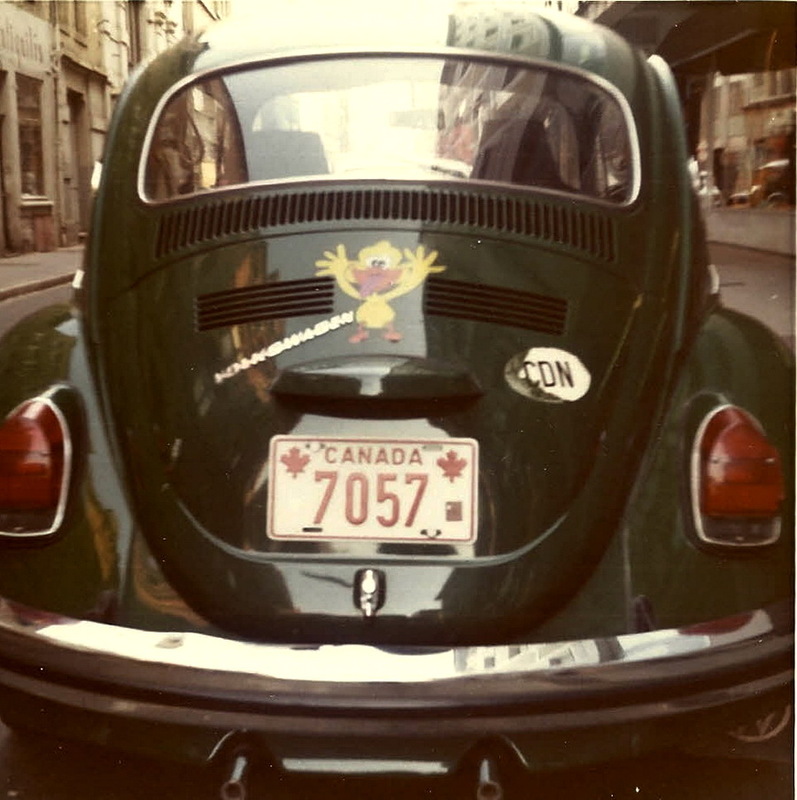 In the 1960s, the U.N. went to various places round the world, to bring light where there was darkness. Where would we be today, if they had not brought civilisation to such places? 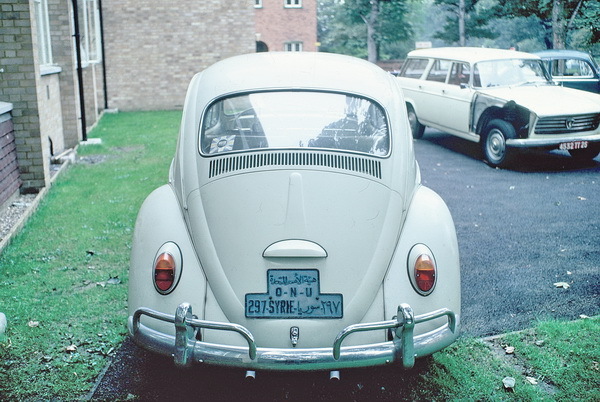 Note the Visitor To Britain window-sticker, then very common on visiting vehicles, perhaps in the futile hope of keeping the newly-introduced parking wardens etc. away from our visitors. 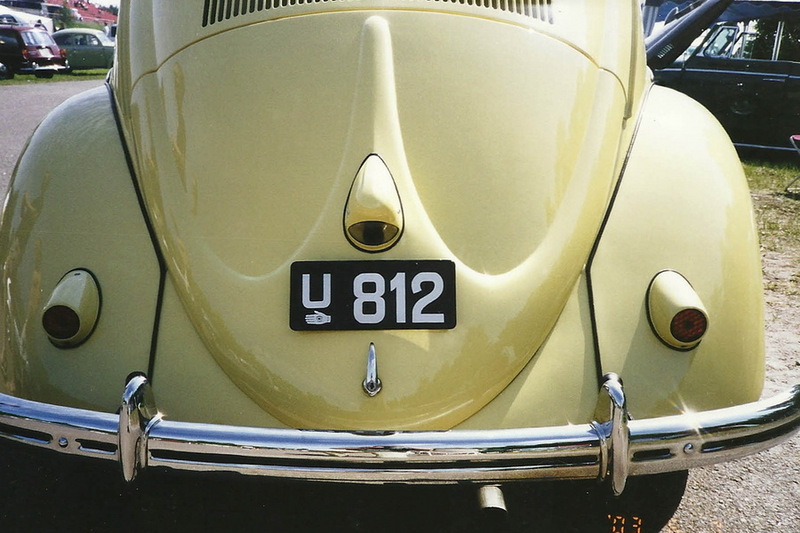 O.N.U.297 — The whole plate is written/abbreviated in French, although issued by the UN. 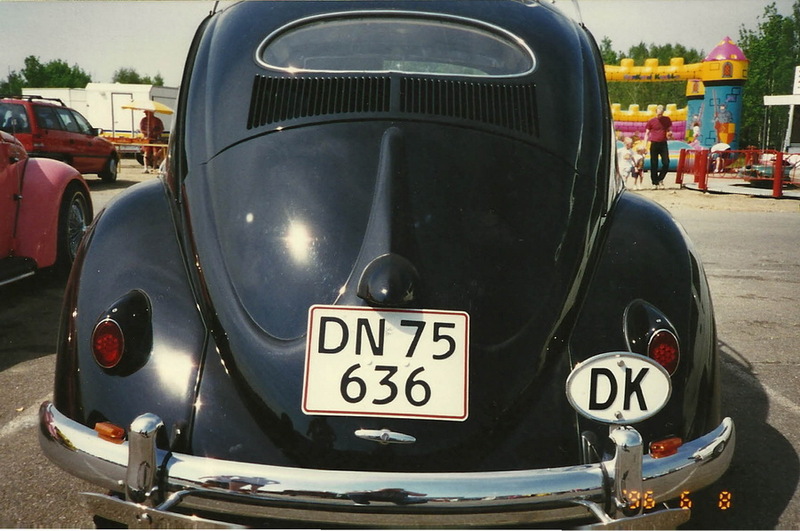 Wonderful, T-shaped plates…. We don’t know the duration of this series. 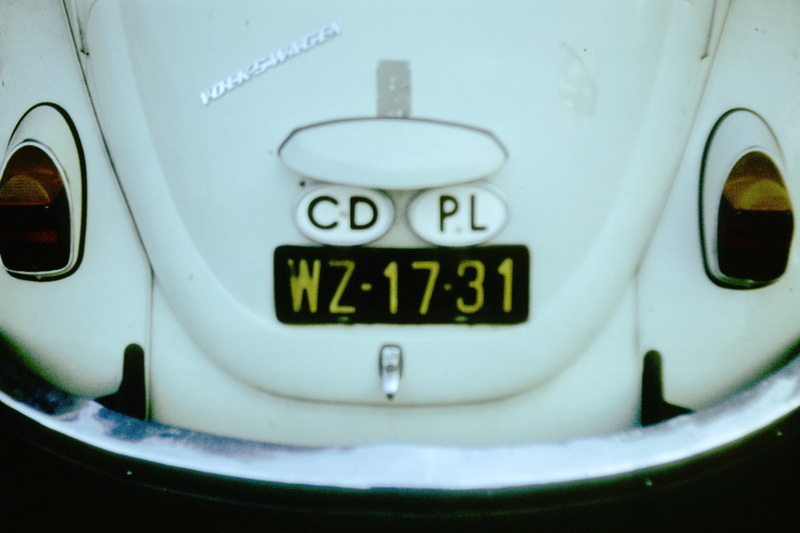 T 63.108 — An Austrian 1947-90 series plate on a Tirol Beetle, seen there in recent years. 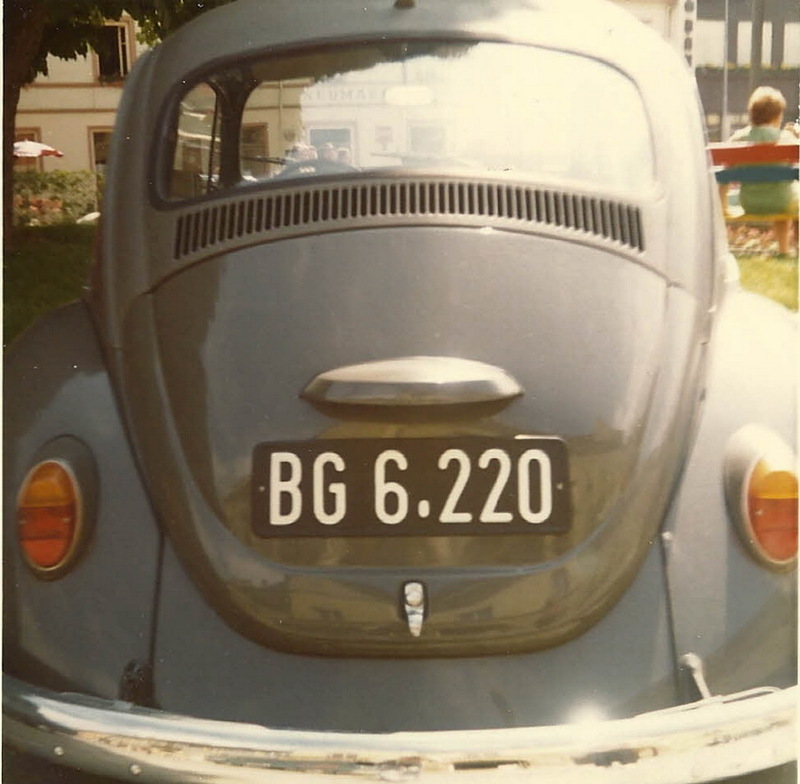 Area code 63 is not given in the Tirol list – so where is this VW from?? 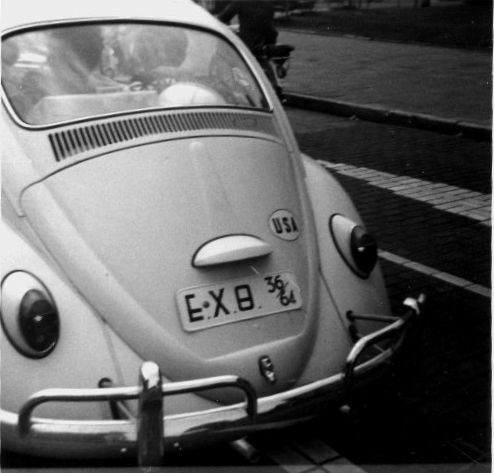 Brumby archive. 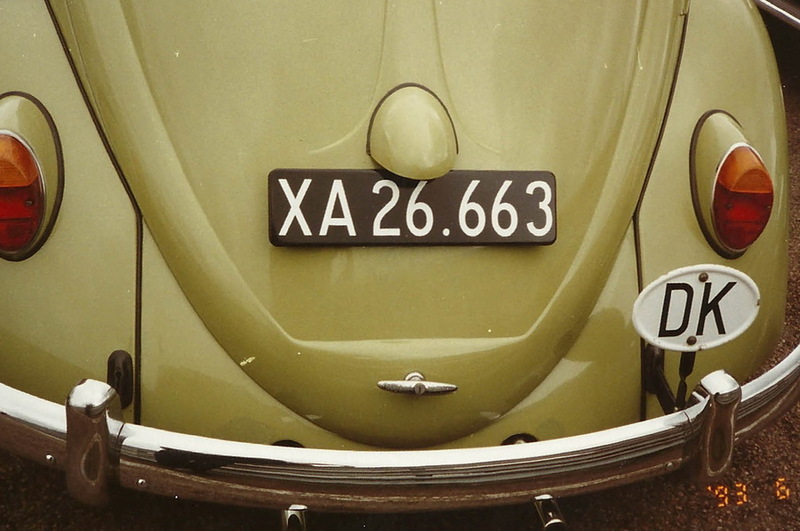 Apr.2014 – Platepeter writes; Numbers T 63.000 – 63.999 were formerly for the district of Imst in Tirol. 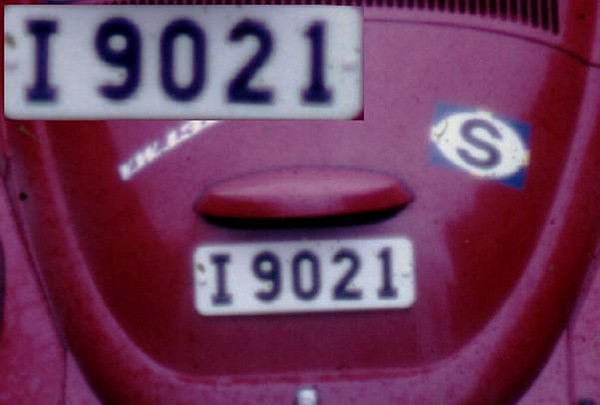 From 1990 the new code is ´IM´. 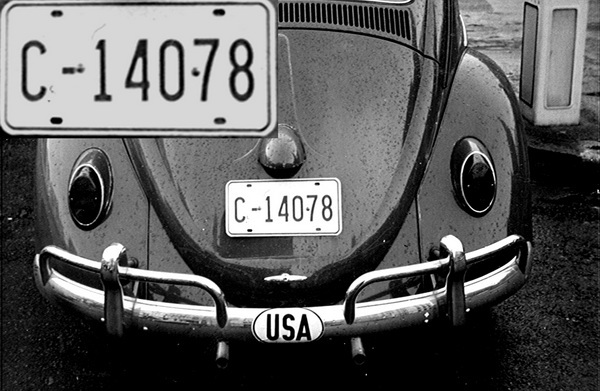 Thank you Plate Peter. MJH 880 GP — Gauteng Province (formerly Transvaal) seen in Johannesburg. If you can pronounce Mpumalanga, you can pass as a real African in theatrical auditions. ZA 2013. The Dream Hitch-hike. 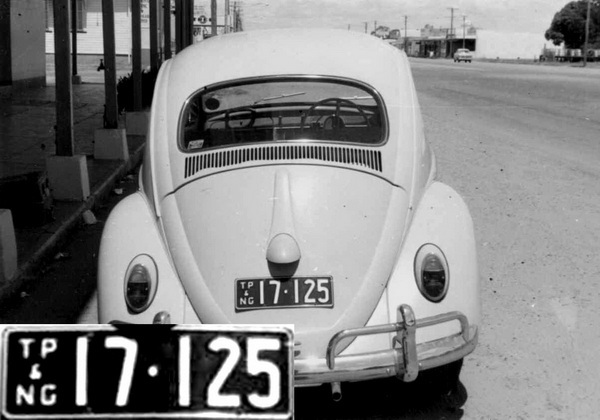 On a remote track in 1966 Queensland, the only vehicle to come by in 2 hours, was this Beetle, on which I made my country-catch of Papua-New Guinea! The sea-captain driver took me a long way south, regaling me with tales of his Papuan houseboy, who kept chickens in the ice-box. 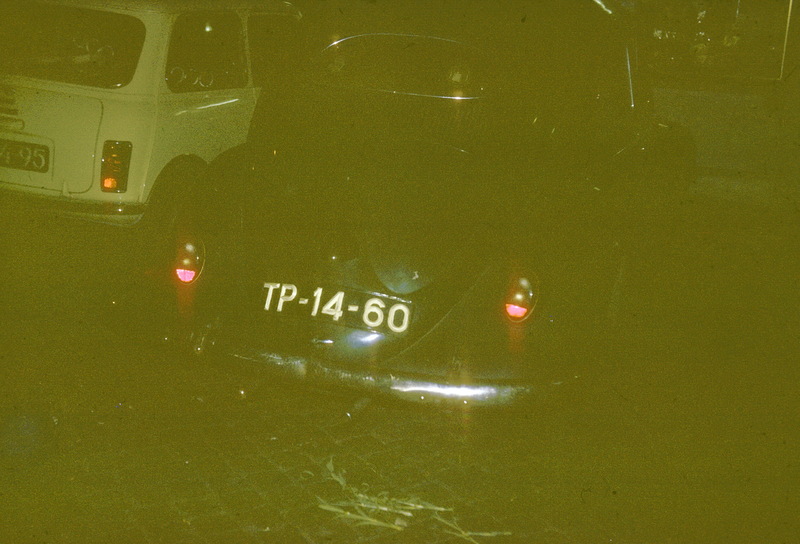 TP & NG 17-125 from the 1951-73 series. 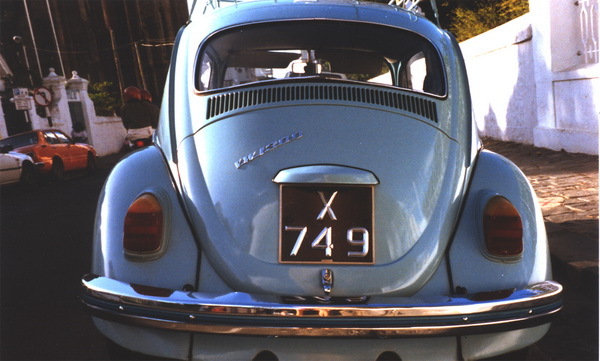 E indicates Exempt from Philippine Tax/Import Duty, for an Italian diplomat in 1977 Manila. 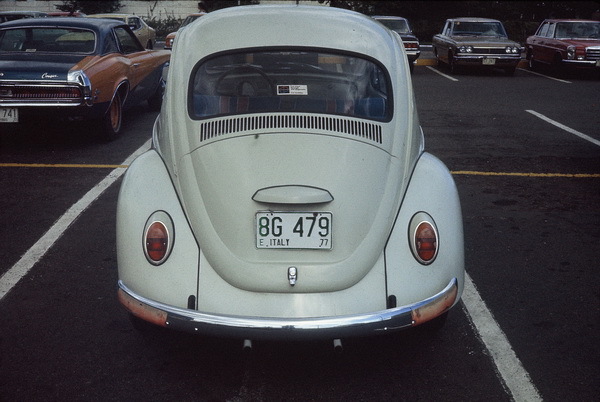 8G 479 — Green on white. 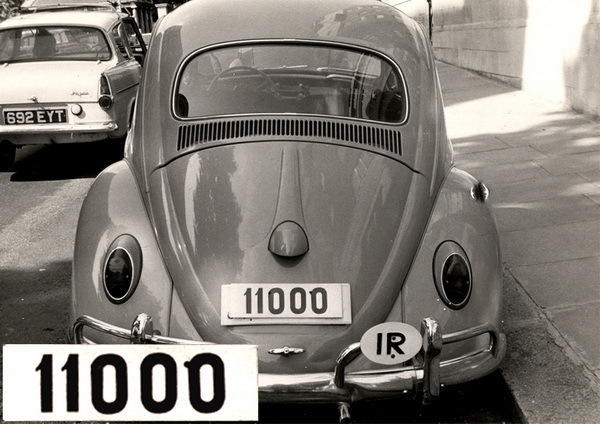 1916-79 could be one of the world’s longest-running plate series for private vehicles. 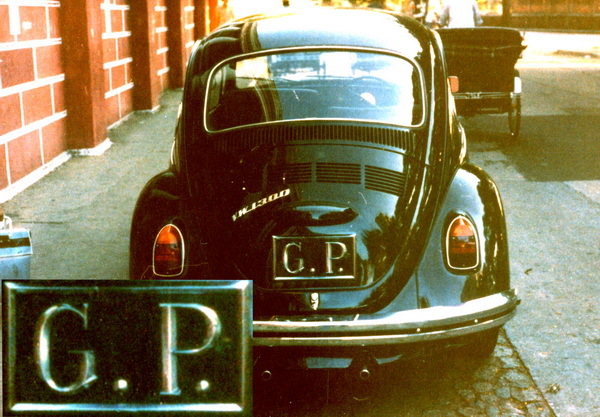 Malta used this simple format throughout, including 15 years after 1964 independence fro GB. 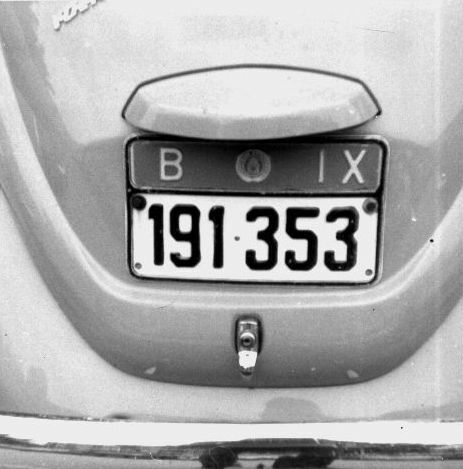 From 1924-66 Malta used GBY as the international oval, and in 1967 changed to ‘M‘. 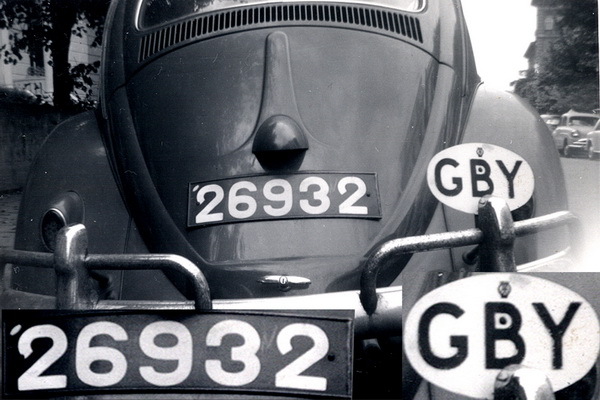 This London shot of 26932 is from 1960. 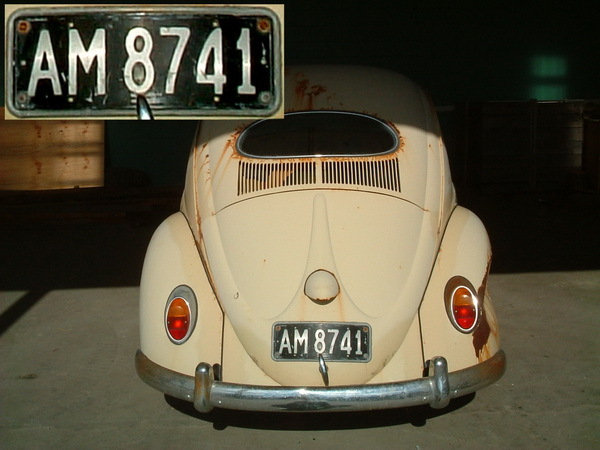 MT-892 — Temporary Matriculation (one-year-valid, duty-free-use plate, for a foreigner in Andorra), from the 1958-63 export series. 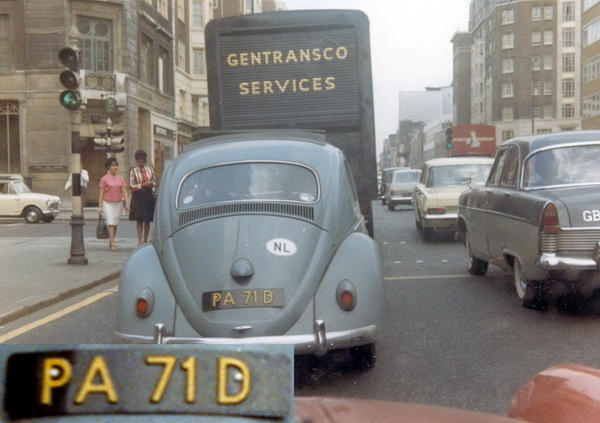 London 1964. 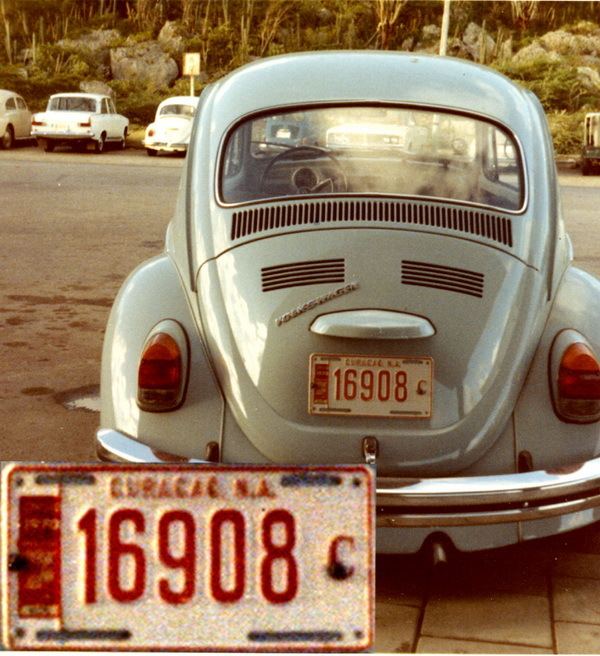 The 64 gives the date of expiry, so the plate would have been issued in 1963, and be among the last of this type. 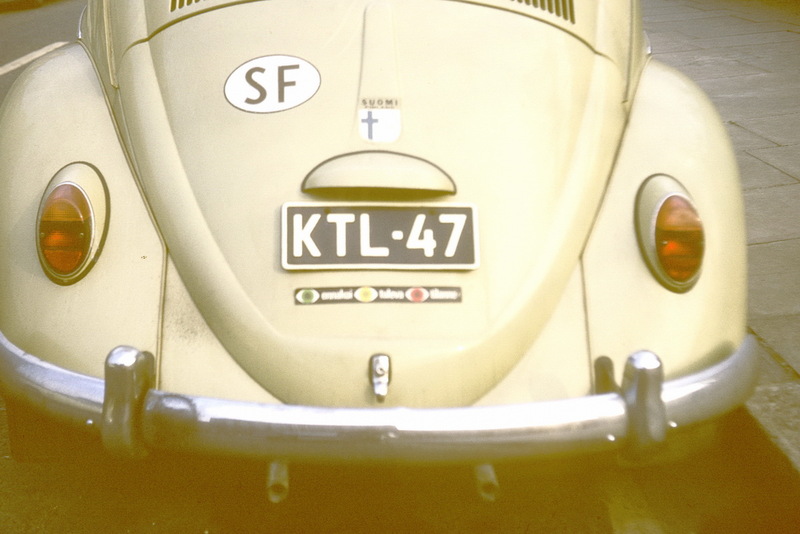 T 4047 – KBL taxi-hire in Afghanistan 1965. Below: Here are a few more culled from the Terry Gray collection. Can you identify them all? 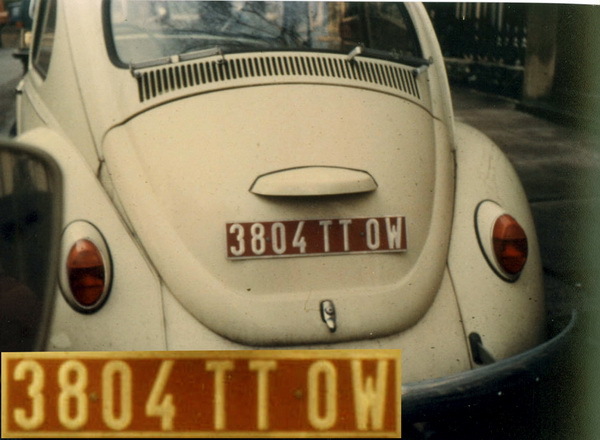 Here is one of the rarest-ever plates – on a Beetle from Portuguese Timor. 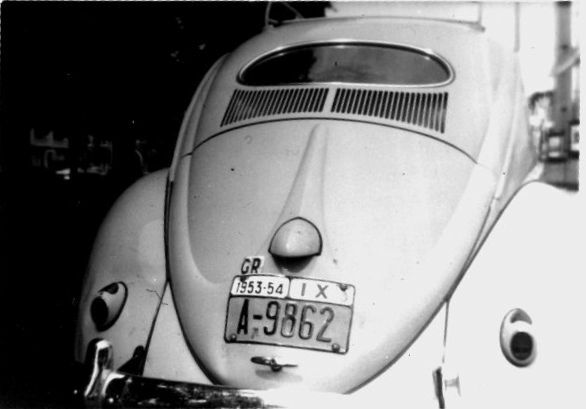 Captured in Portugal by Terry Gray at night during the 1960s. 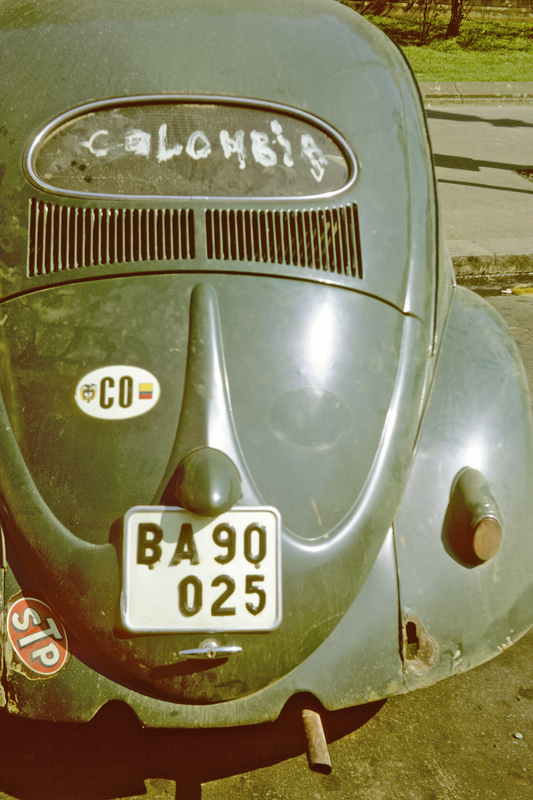 Now – send YOUR Beetle photos in to this growing collection – we want a Beetle picture from every country! 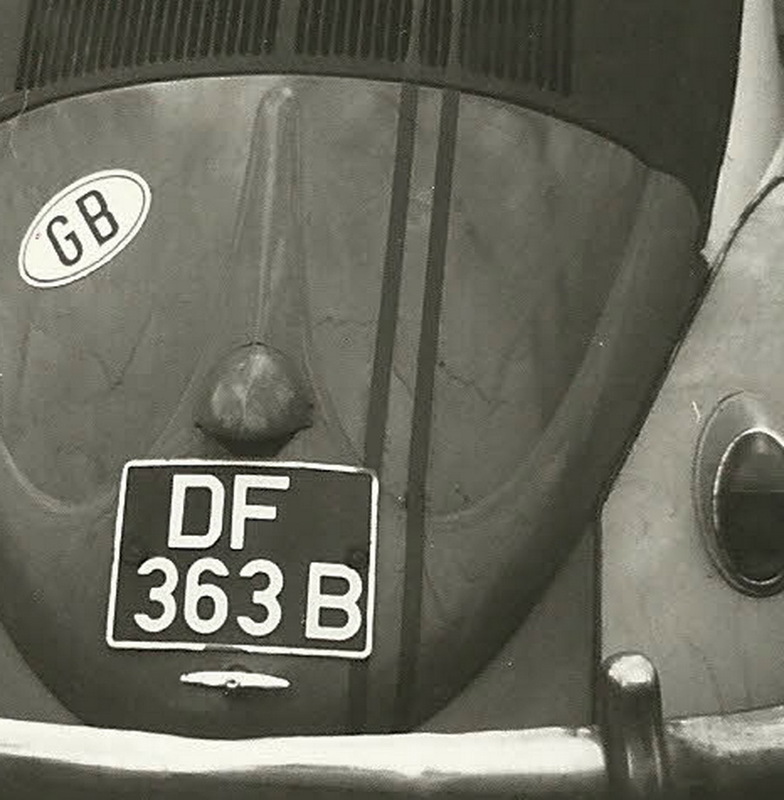 Come on, photographers – DO send in your Beetle pictures, for all to enjoy!! 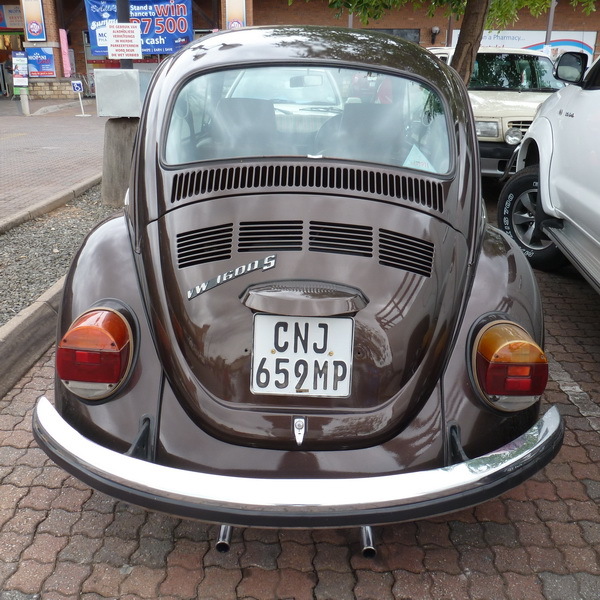 This entry was posted on Sunday, November 24th, 2013 at 3:37 pm and is filed under Uncategorized, VW Beetles. You can follow any responses to this entry through the RSS 2.0 feed. You can leave a response, or trackback from your own site. 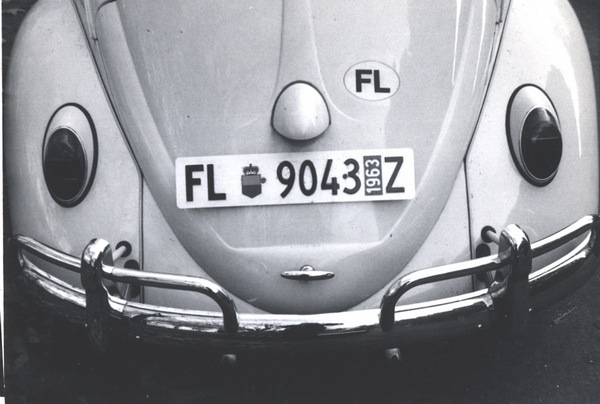 I had also noticed a lot of photos taken by Europlate members from the 1950s to the 1970s almost anywhere in the world were attached to VW Beetles. 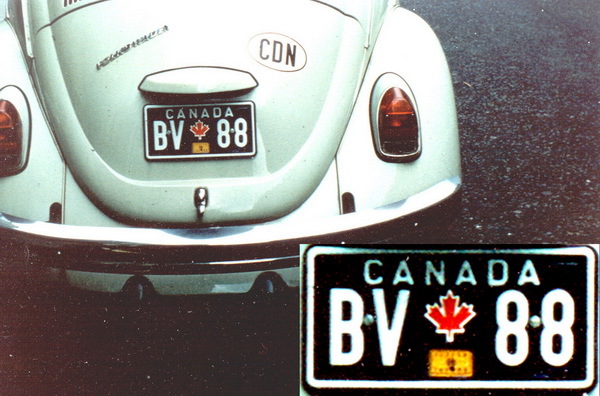 Please identify the individual plates! Would be most helpful. Bart – so as not to make it TOO easy – at least, to start with, I am adding a few clues – so if you re-visit the Page, you may now be guided to the correct i/d! 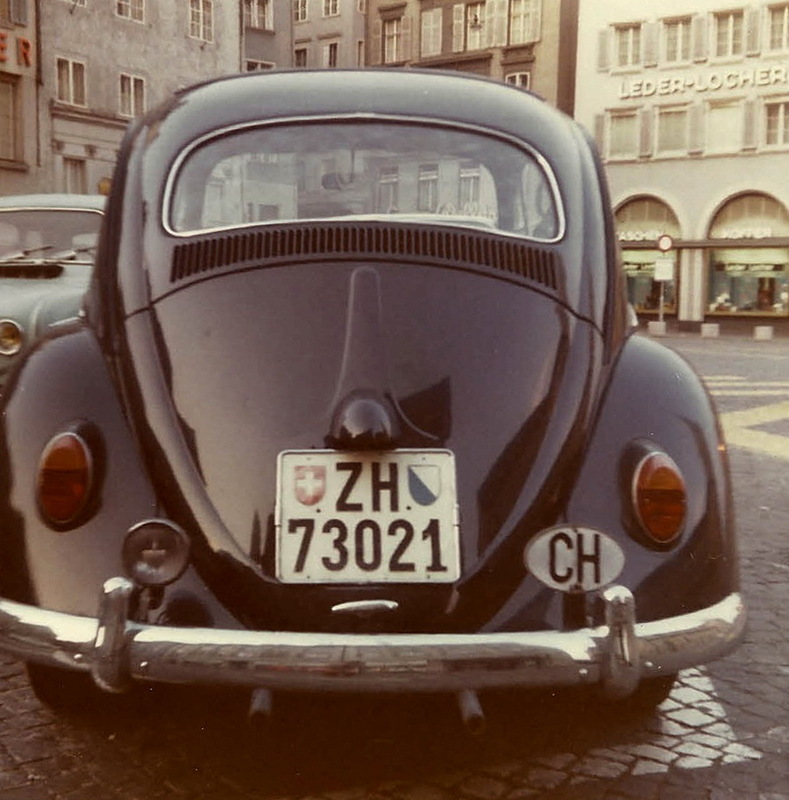 How about listing those countries for which there is currently no VW shot, to help members search their archives? 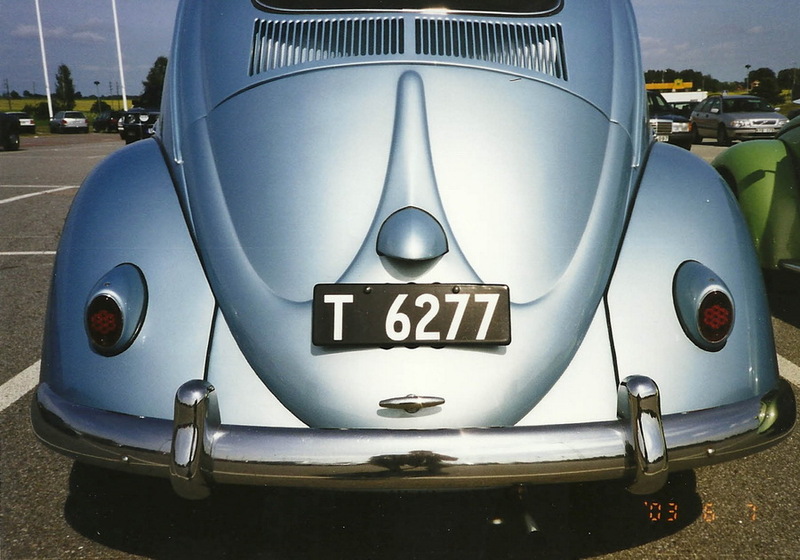 72 4901 with an F oval is interesting. I thought it might be a French armed forces series missing the insignia, but it doesn’t seem to fit the code system. 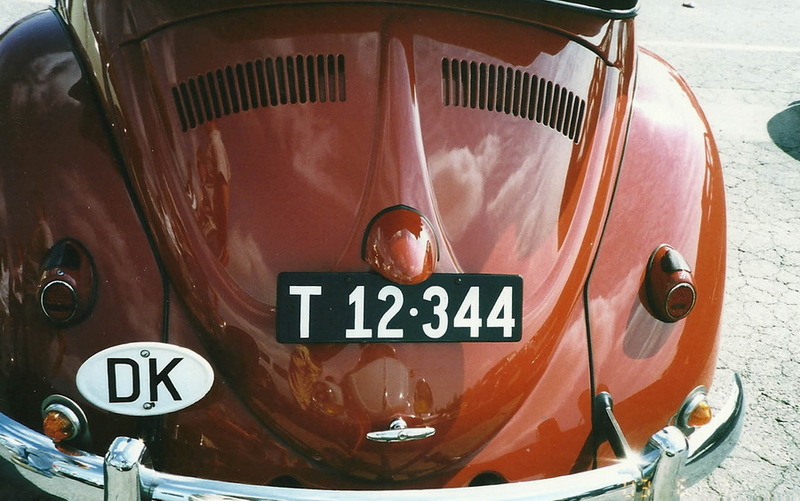 7 would be for the Air Force, but a car would have had a 1 or 5 for the 2nd or 3rd digit. Great fun, Olav! 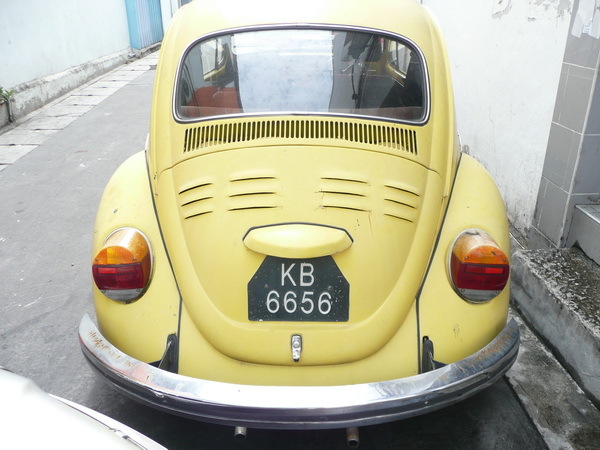 And good photography, too – I can learn from you…… I wonder if there was ANYWHERE VWs did NOT register? (China?). And may I put your site on here as a link? 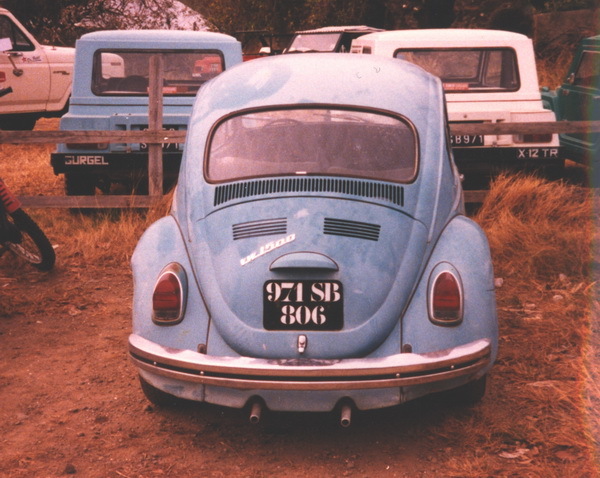 I didn’t see any Beetles on Tristan da Cunha when I was there for six days in 2006 (and old wrecks don’t leave the island). 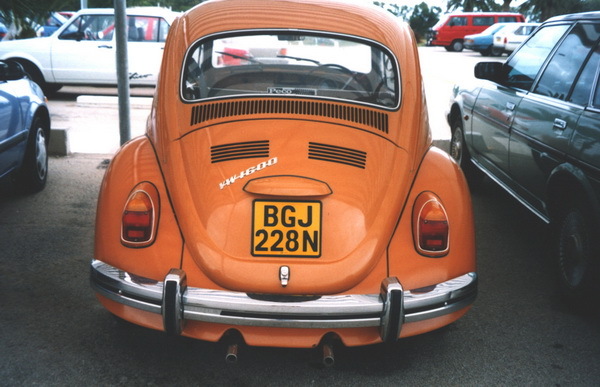 Back in the golden age of Beetles there weren’t many cars on the island. But quite a few Land Rovers, another world car, I would say. Yes, of course you may put my site on here as a a link. 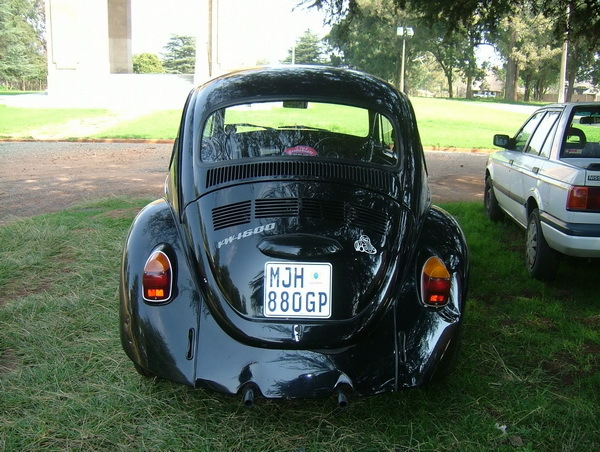 If it wasn’t for all the work involved I’d make my site searchable for car makes and models. 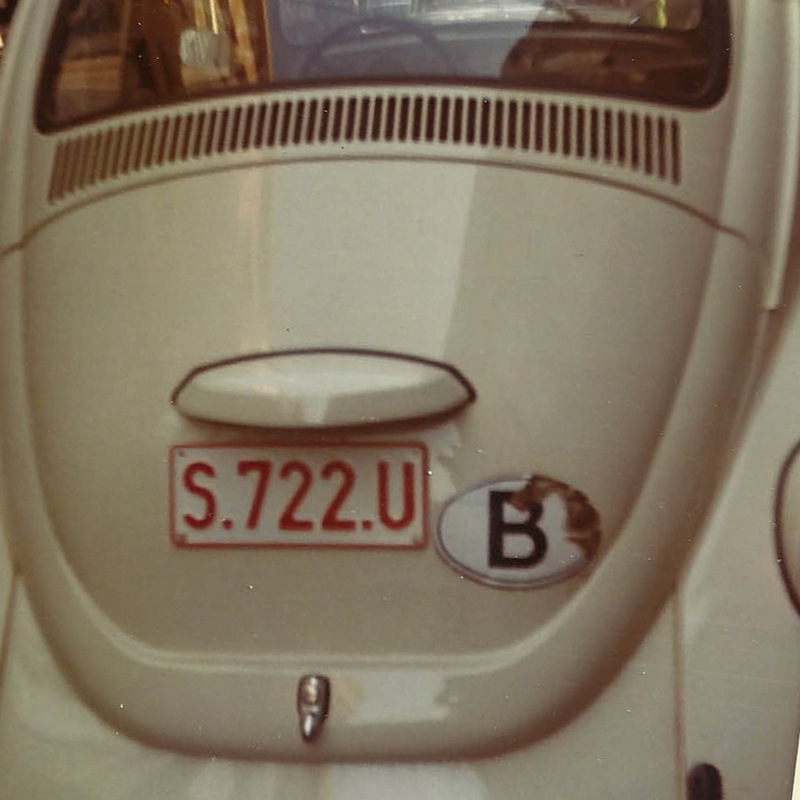 72 4901, might it be a replacement for a lost French forces in Germany plate? 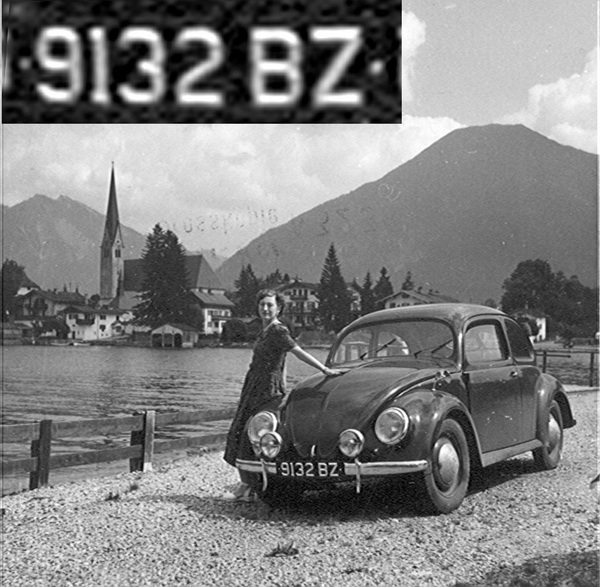 8G 479 above E ITALY 77 puzzles me. 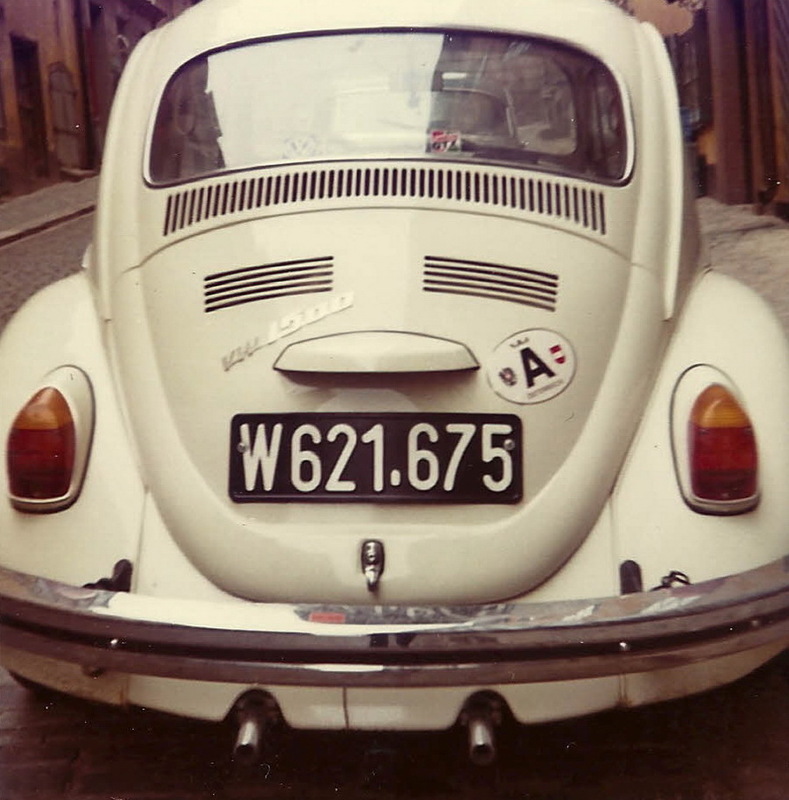 Looks like a forces plate, but in 1977 AFI plates were in use in Italy. 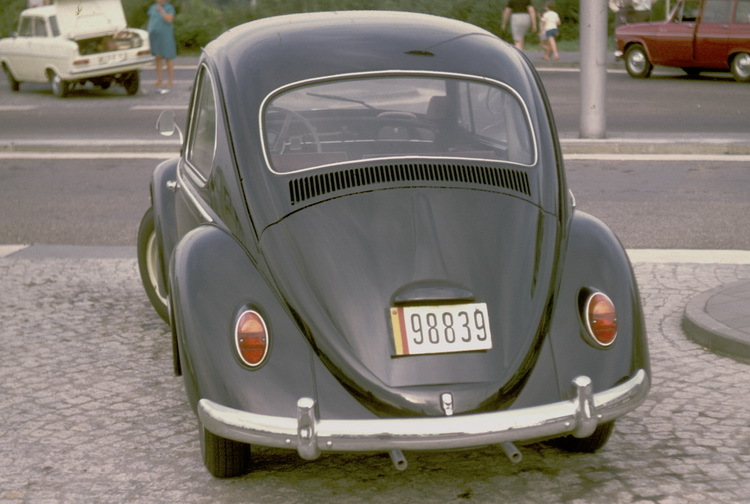 I agree with 72-4901 – French Forces in Germany (private-not a replacement) black/blue. I believe you are right, Aista. 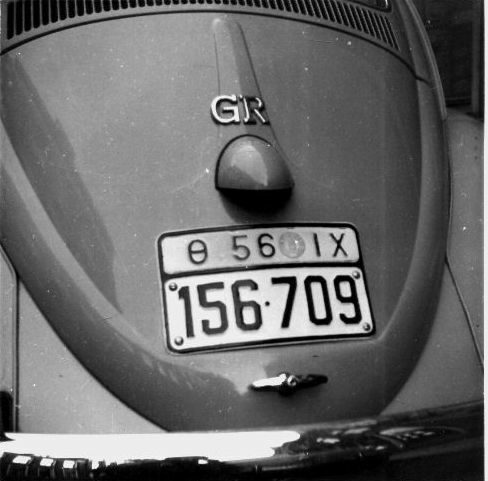 French forces in Germany, replacement plate…..
8G 479 is oriental, and southern hemisphere – does that help? 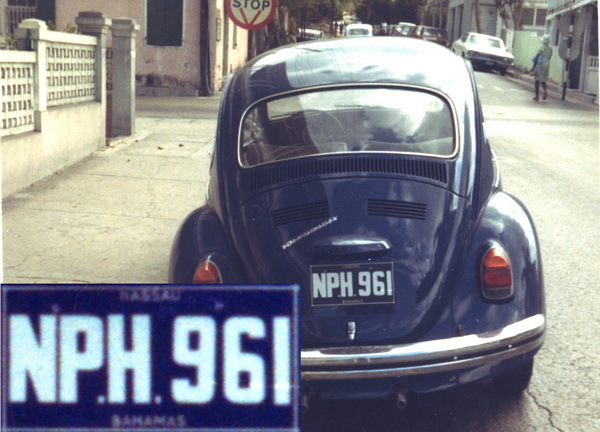 8G 479: Philippines, embassy staff? Quite correct, Marcello. 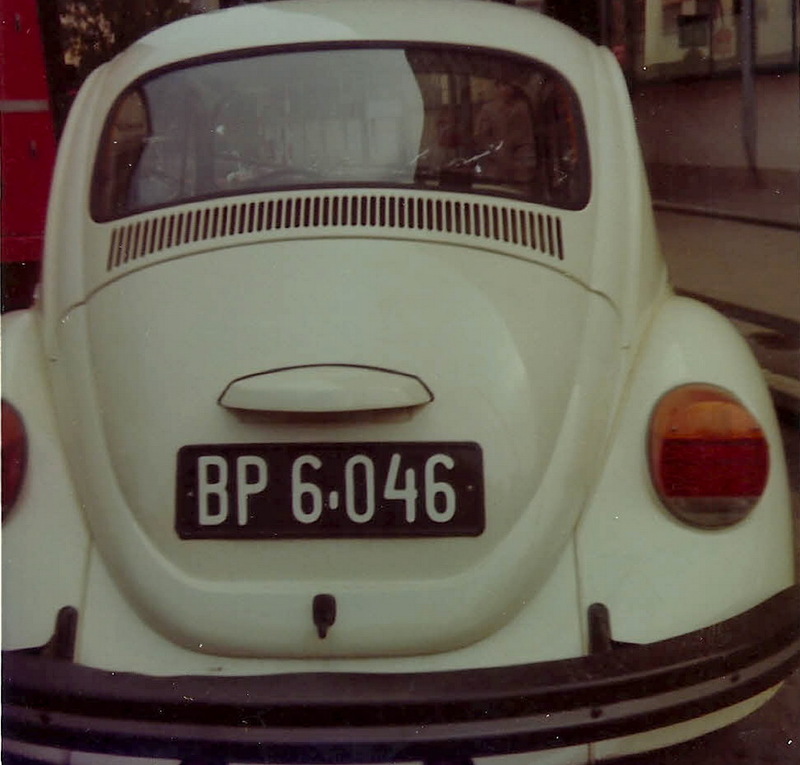 In Manila in 1977. 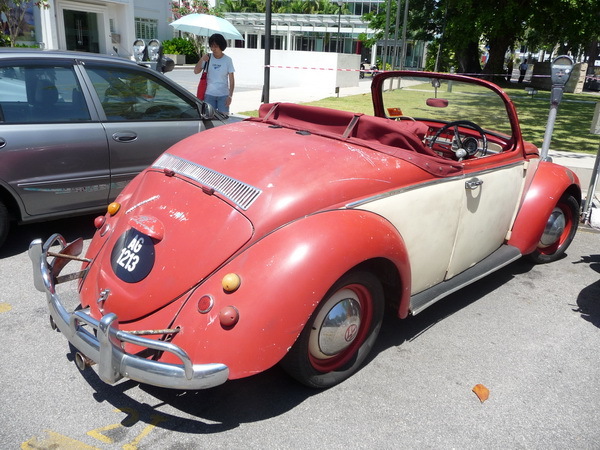 Your RSM Beetle is now added to our World collection. Looks as if Tristan da C. may have to be excluded! 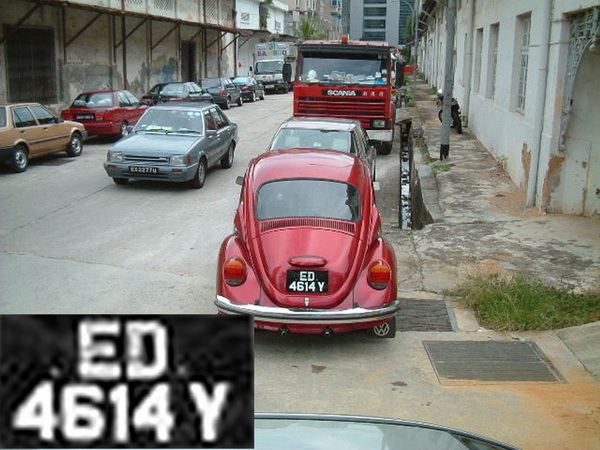 8G 479 – Absolutely right! 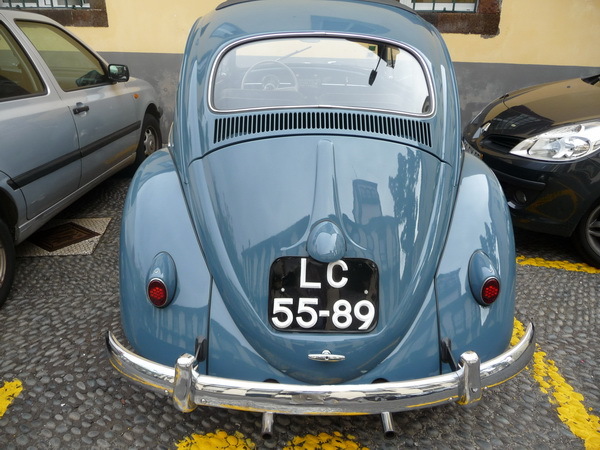 Bravissimo! 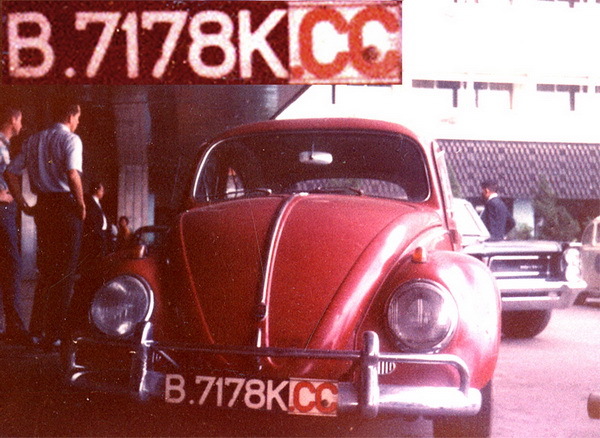 The ‘E’ codes a tax-exempt vehicle and it is from the Italian embassy in Manila in Nov. 1977. Whoops! I sent the above via email with an attached picture, but it didn’t work. 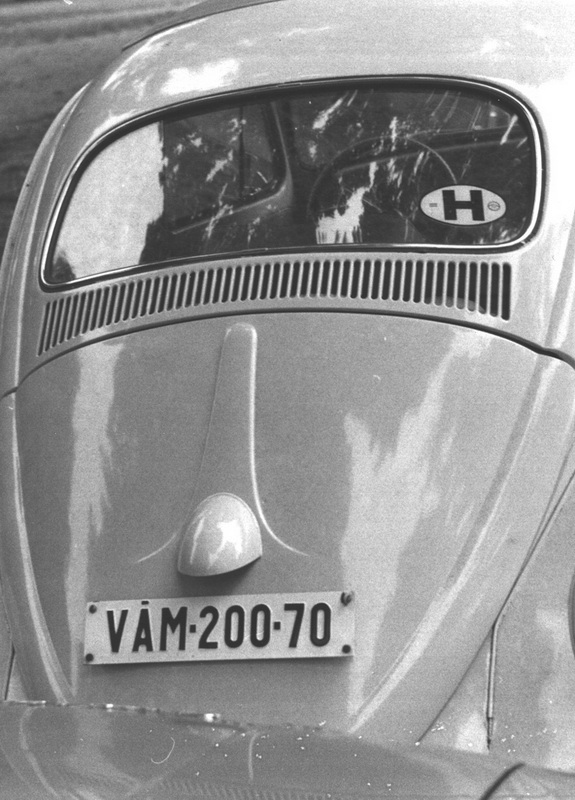 VÁM on the Hungarian beetle is not an abbreviation. 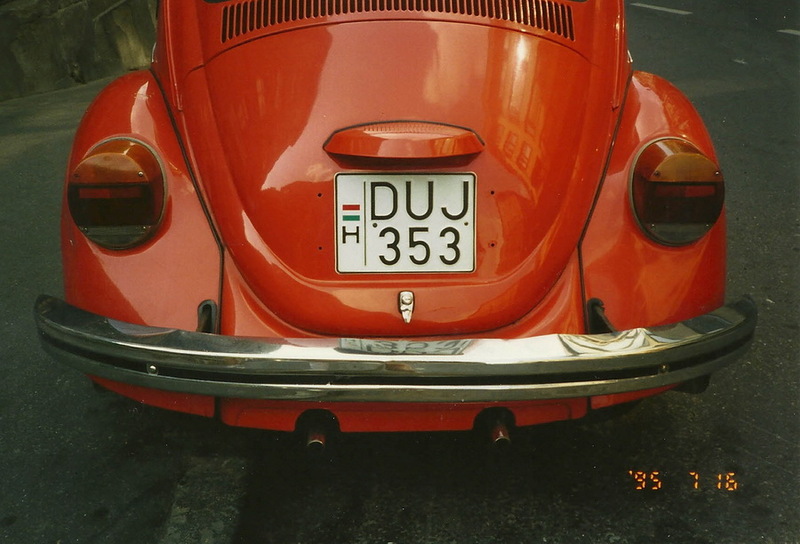 It is the name of the Hungarian Customs agency. 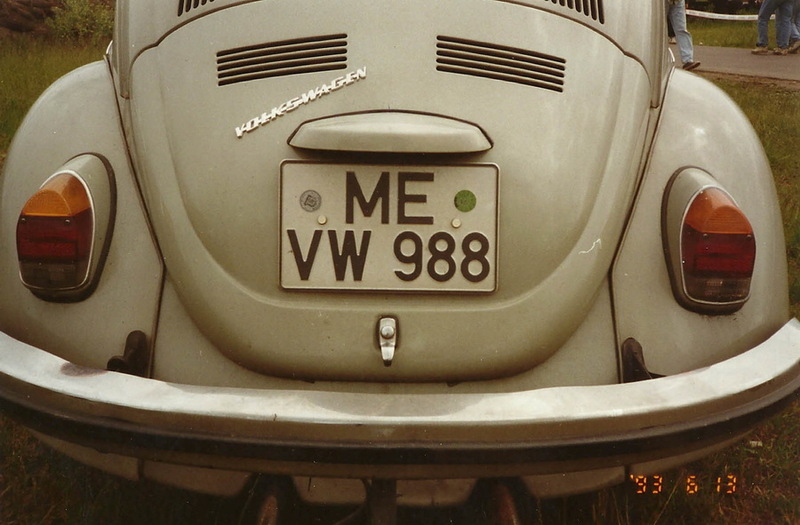 So, probably this is even not a temporary plate as Vám has special plates today as well. 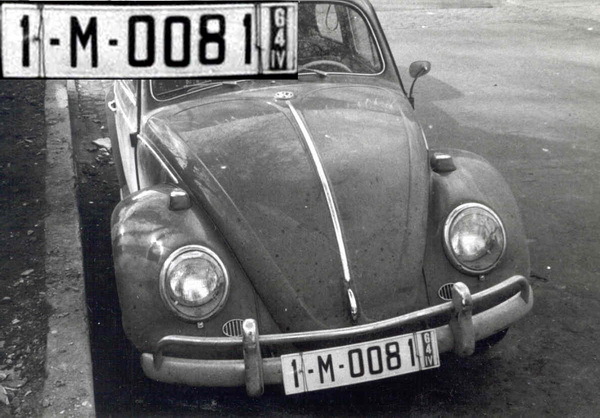 The red beetle T 63.108 was (perhaps is until now) quite safe registered in Tirol / Austria. 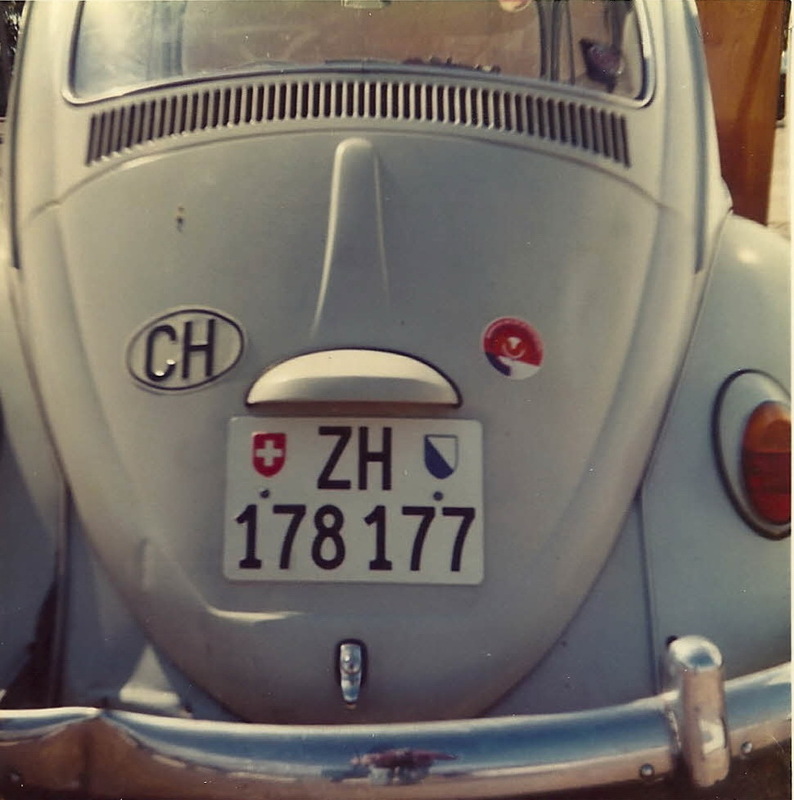 I have an old list of the former Austrian registration areas that seems to be complete. 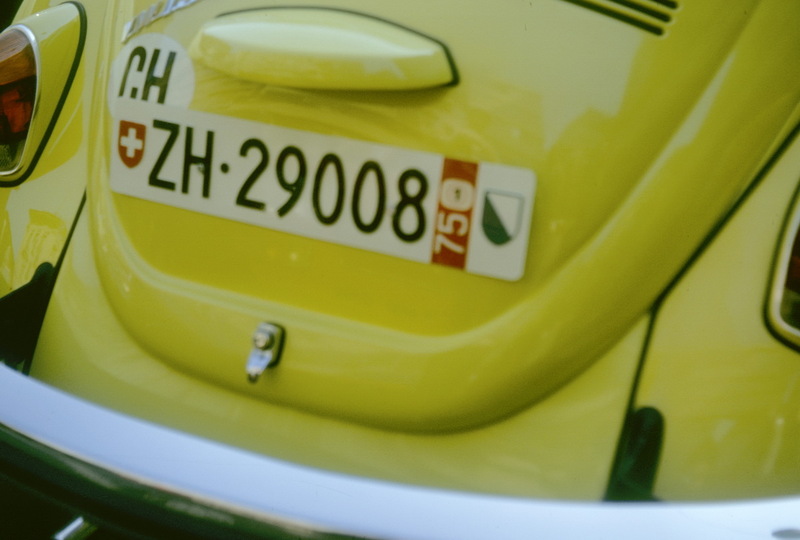 According to this list the numbers T 63.000 – 63.999 have been for the district of Imst. 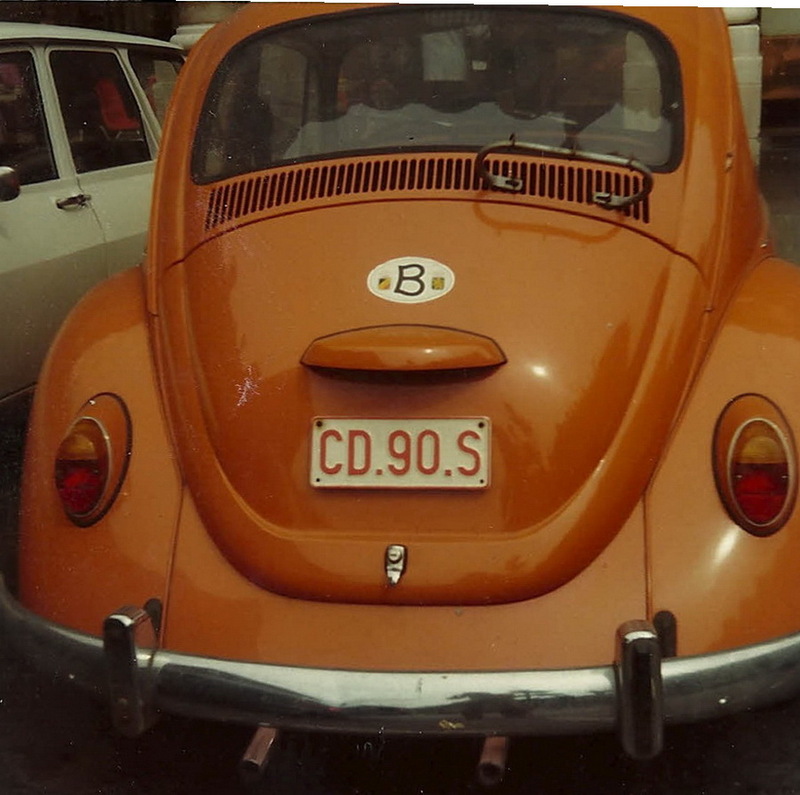 Since 1990 the code is ´IM´. I can send you this old code list, if needed, respectively i´ll send it to Neil for insert in rpwo. Actually this plate is correctly made. 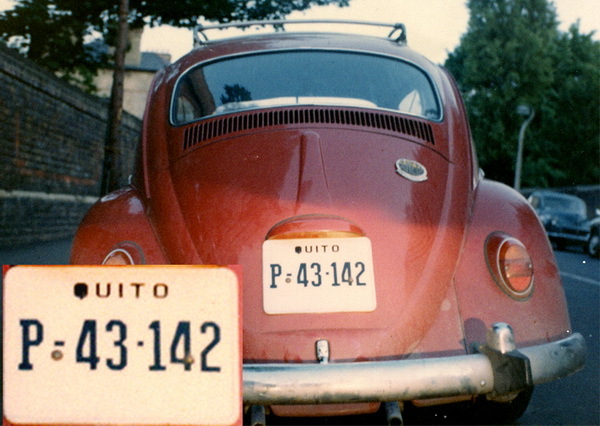 For some reason the plate format was J-0215 but the actual registration was JO-215. 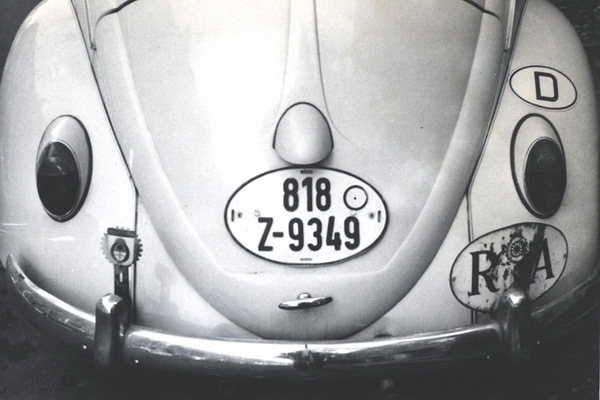 This possibly had something to do with the use of punch-cards, which may have required that all registrations were entered with the same number of digits. 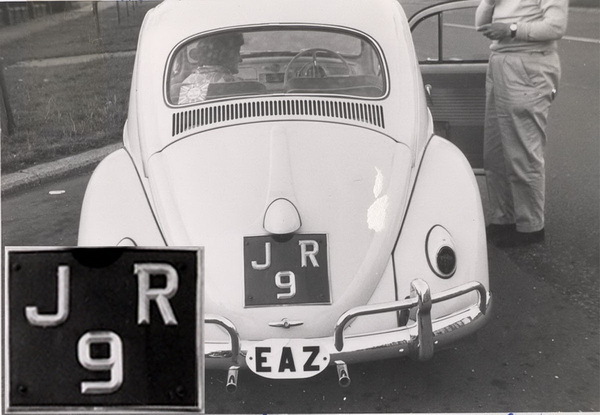 Using a leading zero would then have resulted in confusion with “J” prefix plates. Thanks for this note, IS GUP. You must have experience of the old punch card systems used in manufacturing. 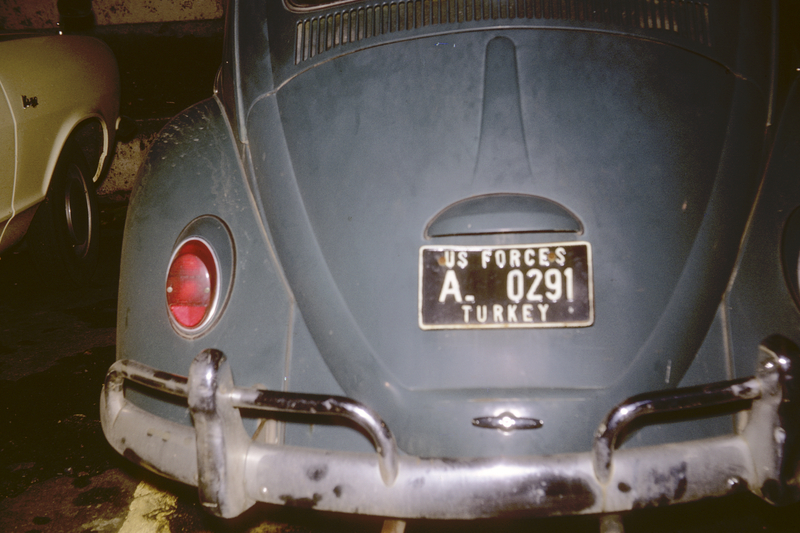 I must check other photos of the US forces’ JO plates, to see if the whole series was made with a gap between the J and the O. Needless to say, there are very few surviving images, or plates. It always surprises me that the numeral zero and the letter O are not written with a defining mark, to avoid misunderstanding. 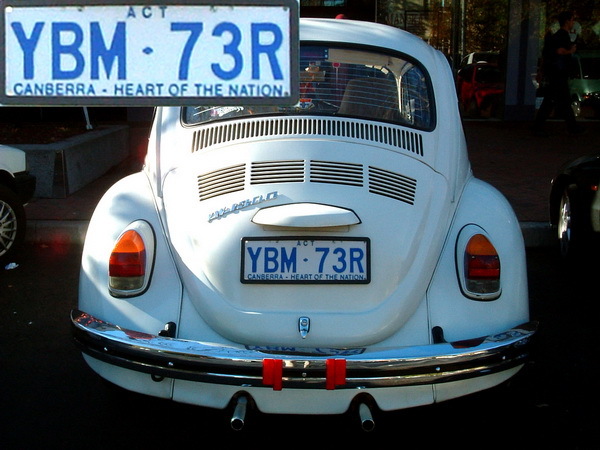 New Zealand numberplates do that, using a full-length strike across the zero. 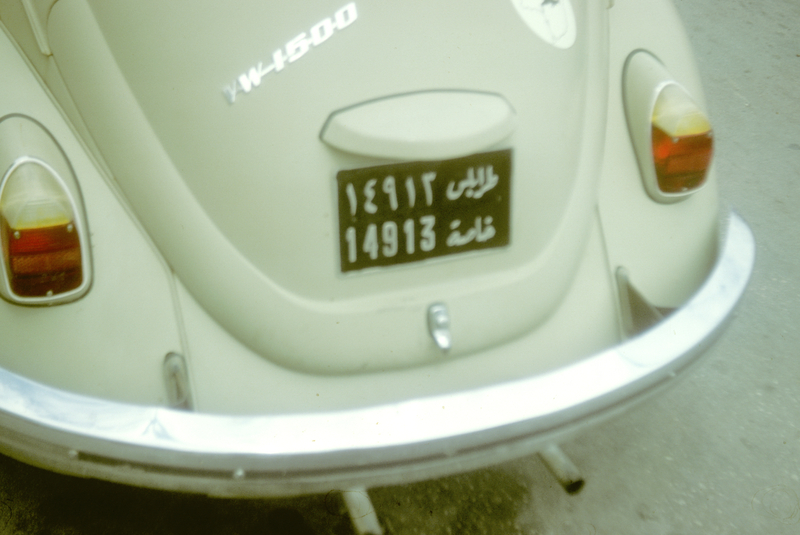 Actually I was referring to the punch-card system used to keep the centralized register of motor vehicles before computerization (as opposed to the regional records that were kept on filing cards or in registration books.) Sadly I have no experience of the actual system as I was not even born at the time, but I have been doing some research into it out of curiosity. 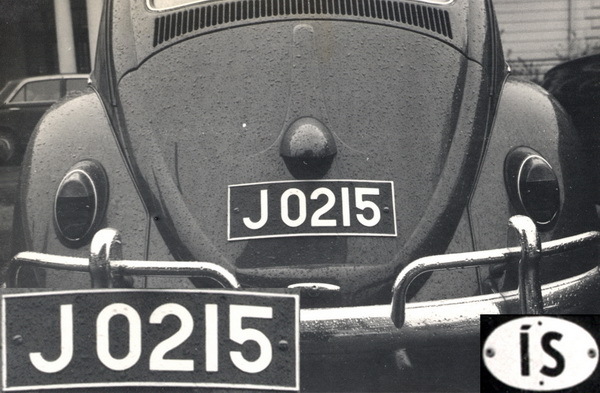 All photos that I have ever seen of actual JO plates have this gap. The only one I know of that doesn’t is a reproduction made recently for a display in a museum. My guess is that originally it was meant as a J and a leading zero, but soon came to be regarded as JO out of convenience. 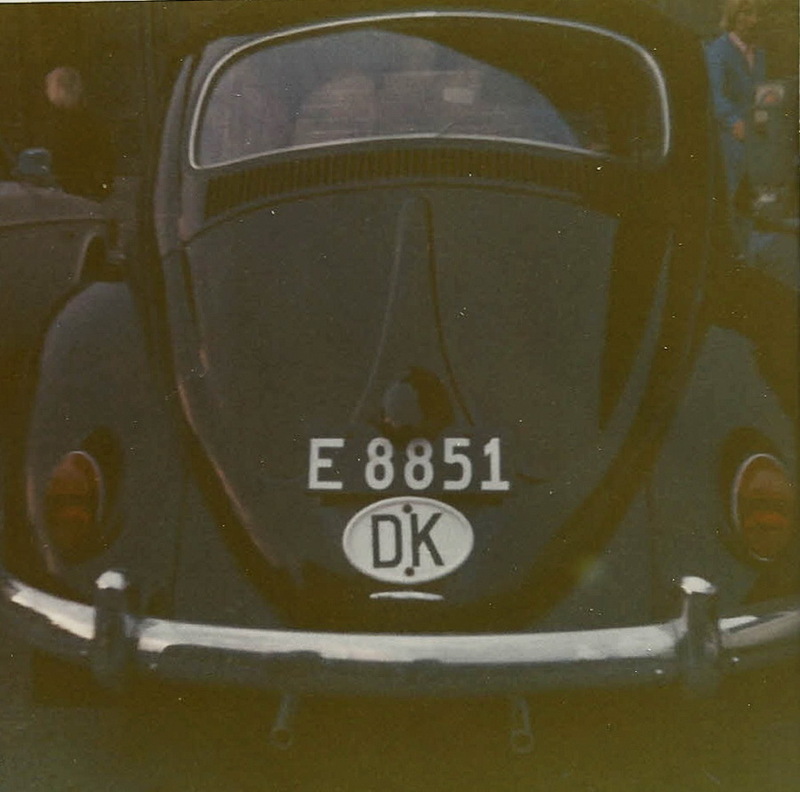 Yes, of course, we recall the Ø in the earlier IS system. Iceland was ahead of the game! 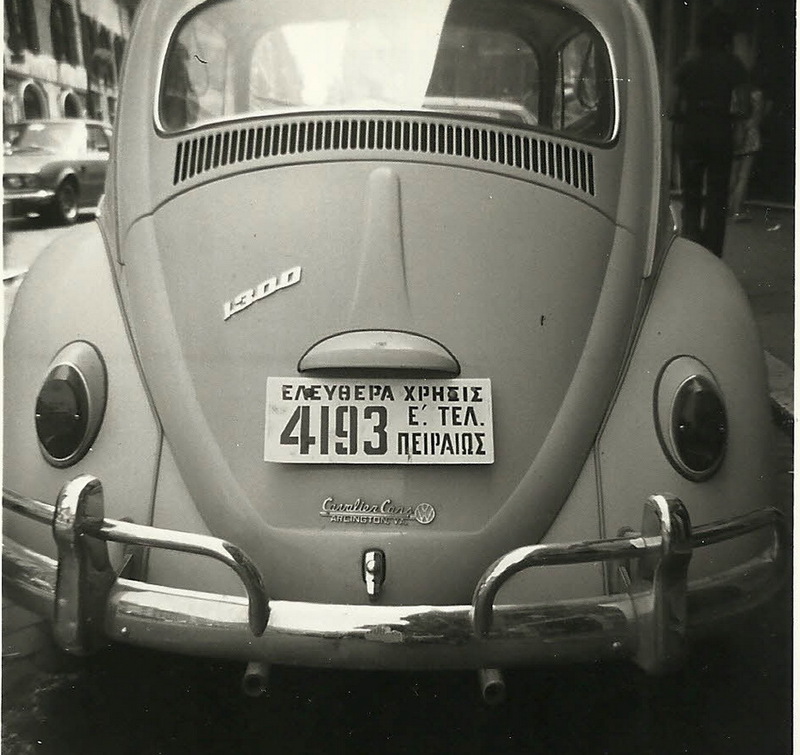 About Greek licence plates. 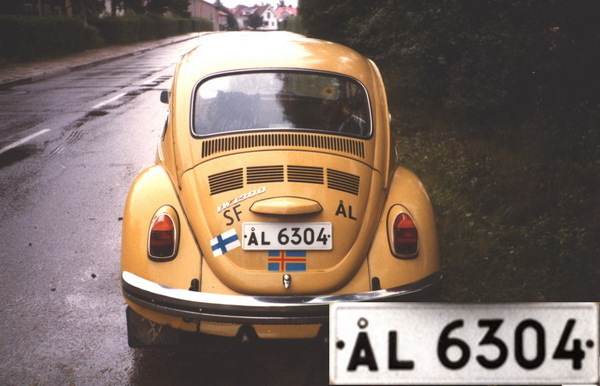 Yellow plates with 53-54 mark, used from early 1954 to 1956 and not from 1952. 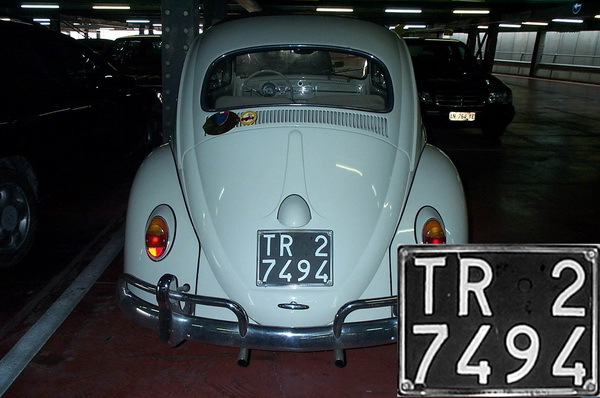 Yellow plate “Π-250” stands for the city of Patras and not Piraeus. 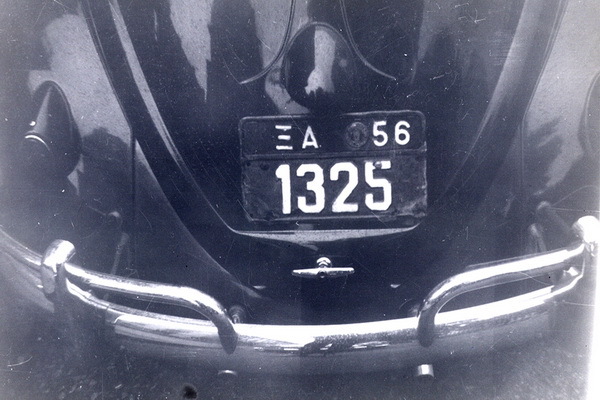 As for the “ΞΑ” plates stands for Foreing Mission (Ξένη Αποστολή) so A letter is not about Athens. 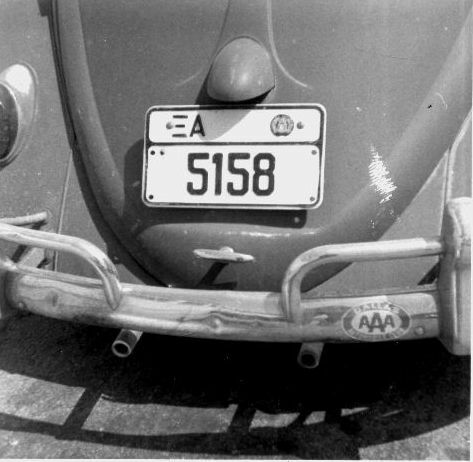 Why 53-54 plates were used from 1954 to 1956? 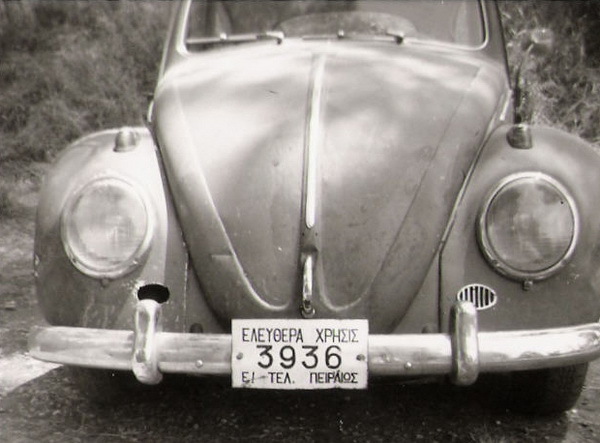 Greek state made a new record listing for all vehicles in 1953. 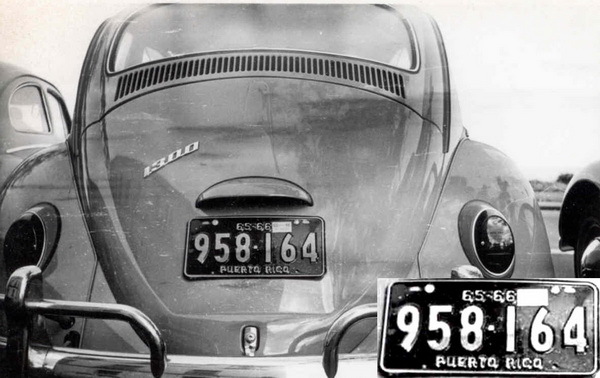 Every vehicle would change its plates for one year, while there was the intention for a new record listing to take place next year (i don’t know why! 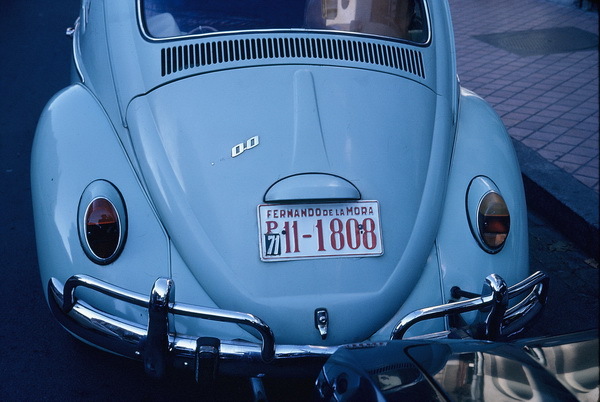 ).But a problem came up and plates issued later than expected. 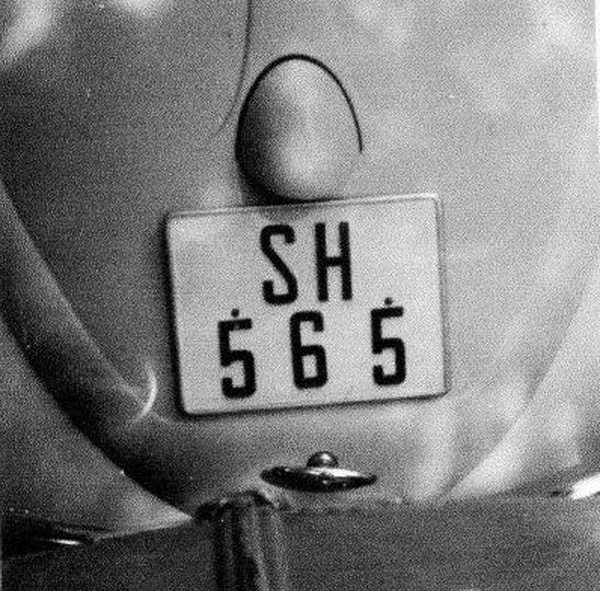 So vehicles changed plates in early 1954. Finally new record listing did’t took place until almost 2 years later. 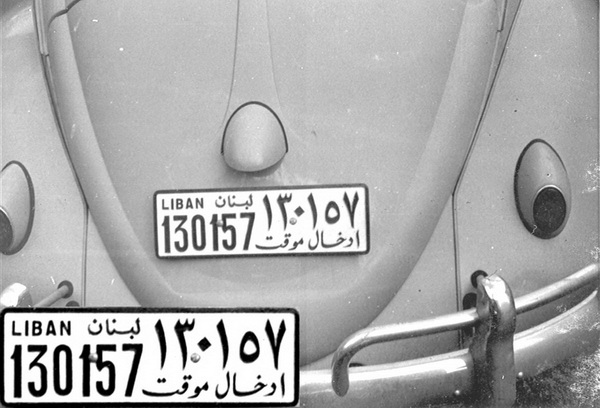 Then new 1956 plates issued, used until 1971.